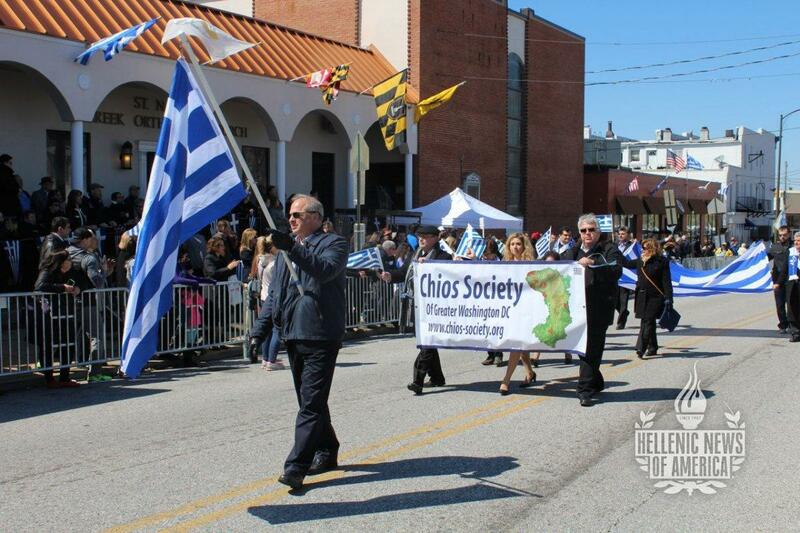 On the beautiful sunny yet windy 3rd day of April, spectators from across the Mid-Atlantic region gathered in celebration to honor their ancestor’s sacrifices in preserving the ideals of Freedom and Democracy, witnessing the pride of so many of the Greek youth marching to showcase their Greek Heritage, and its rich and ever so significant history and great ideals passed on and shared with the rest of the world. 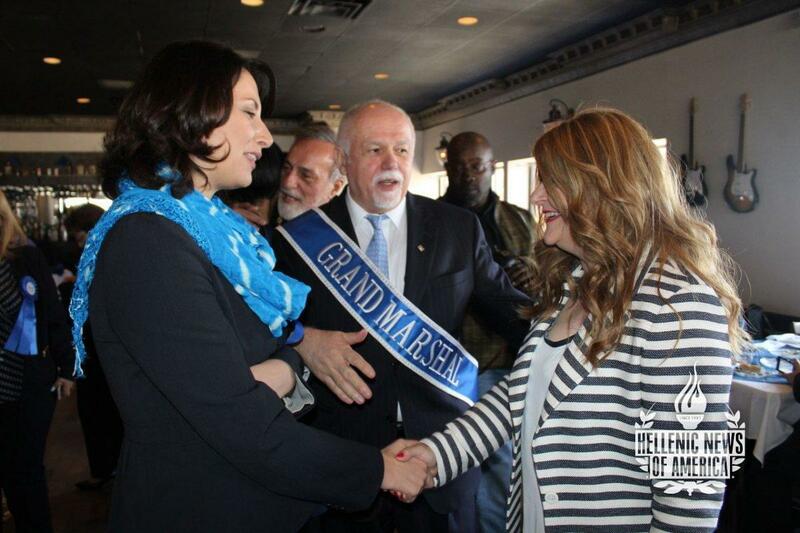 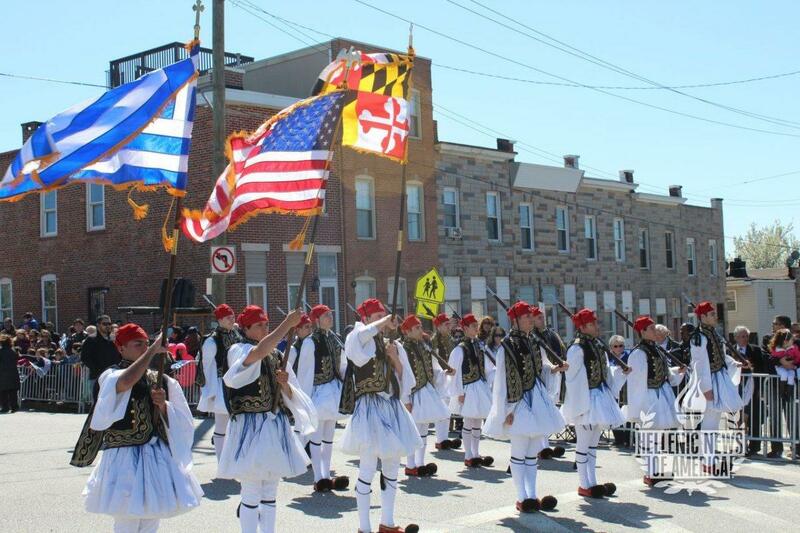 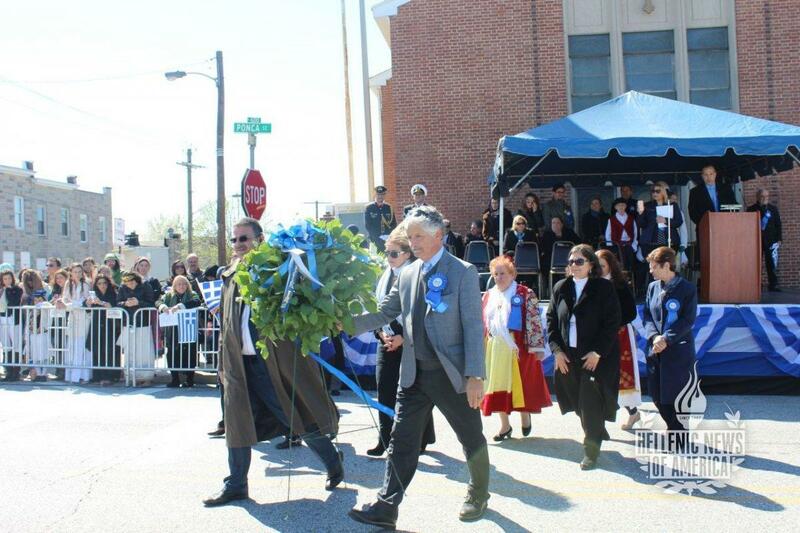 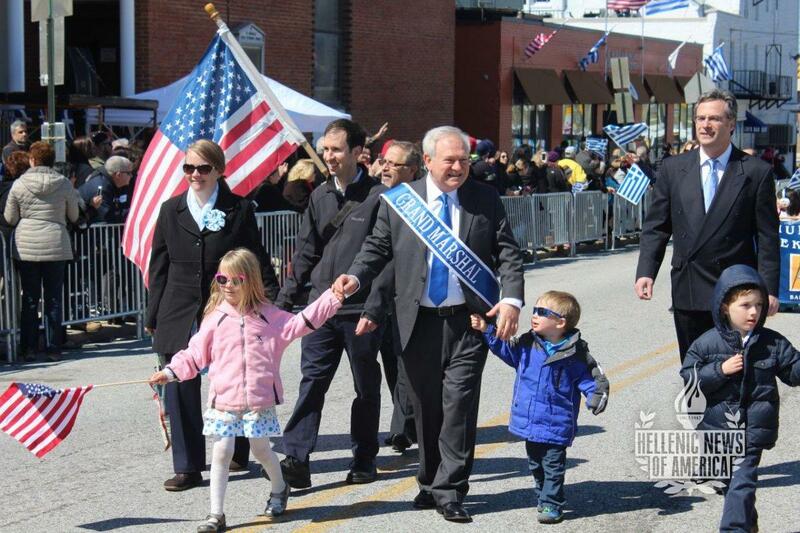 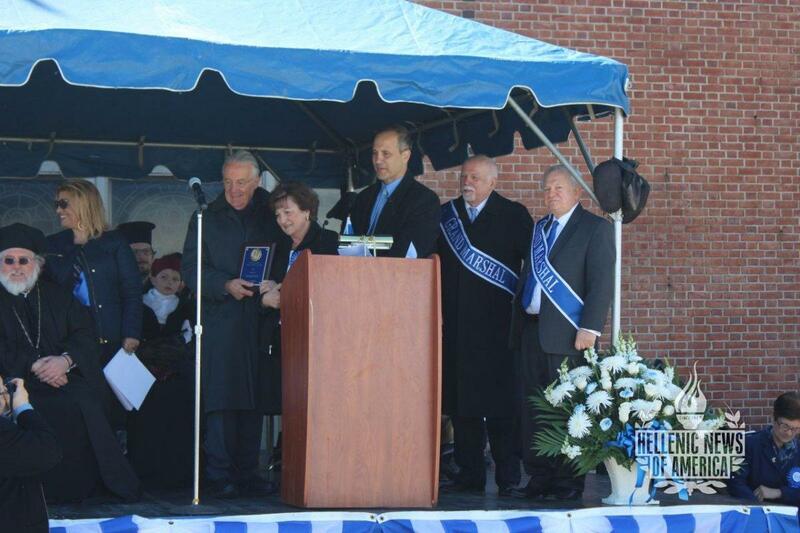 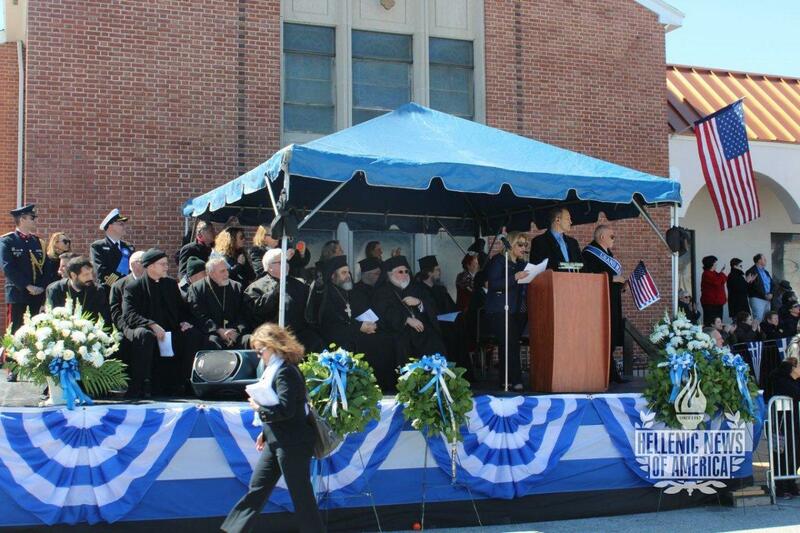 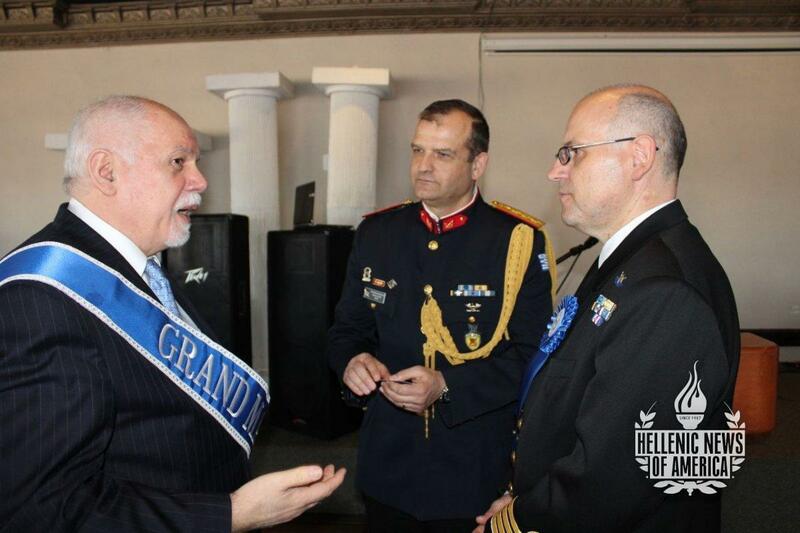 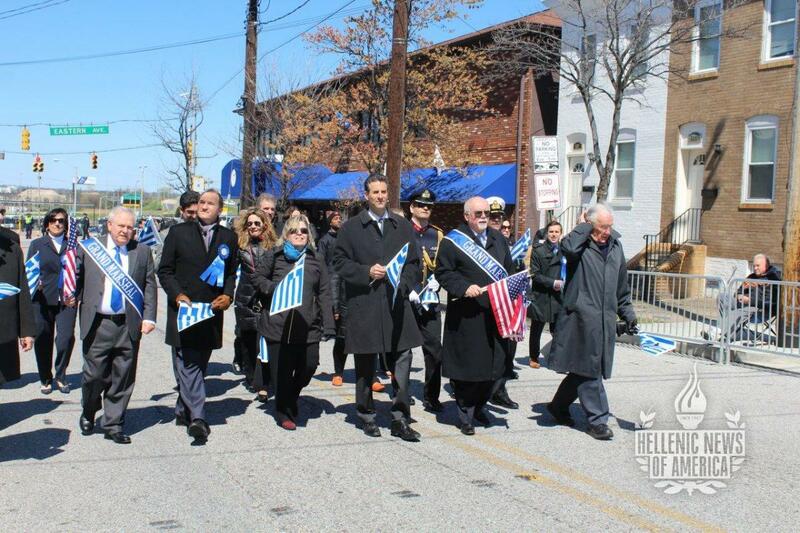 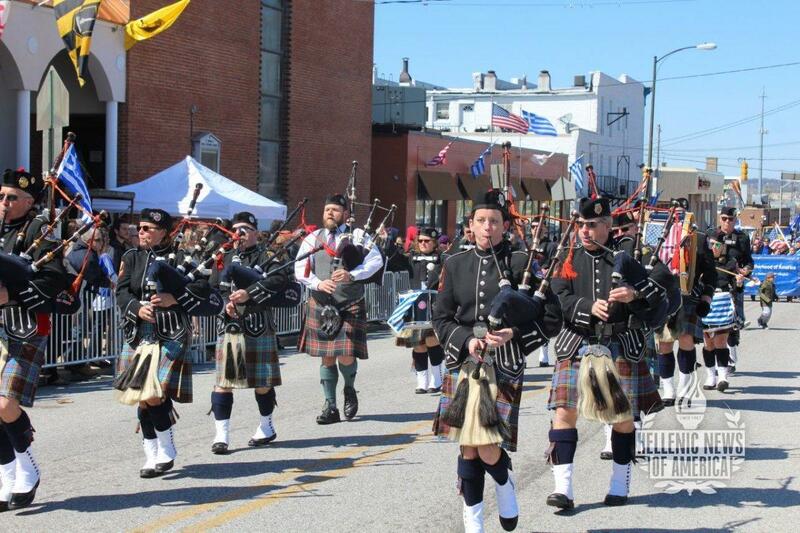 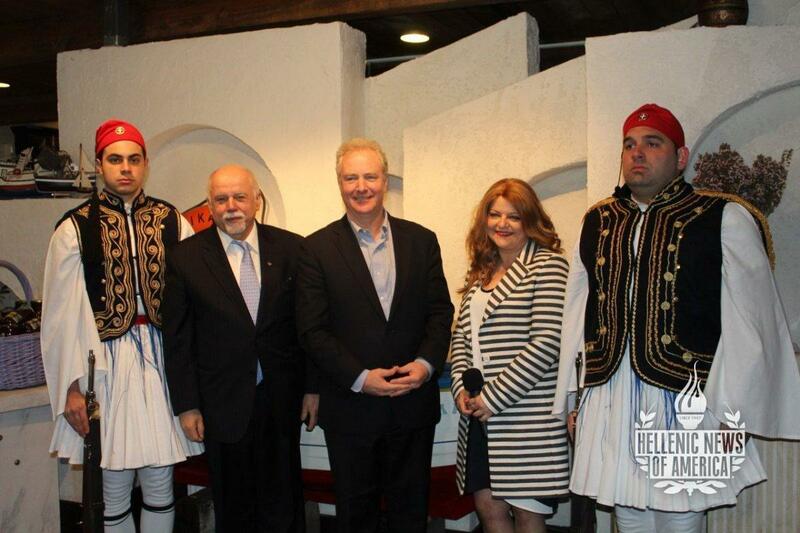 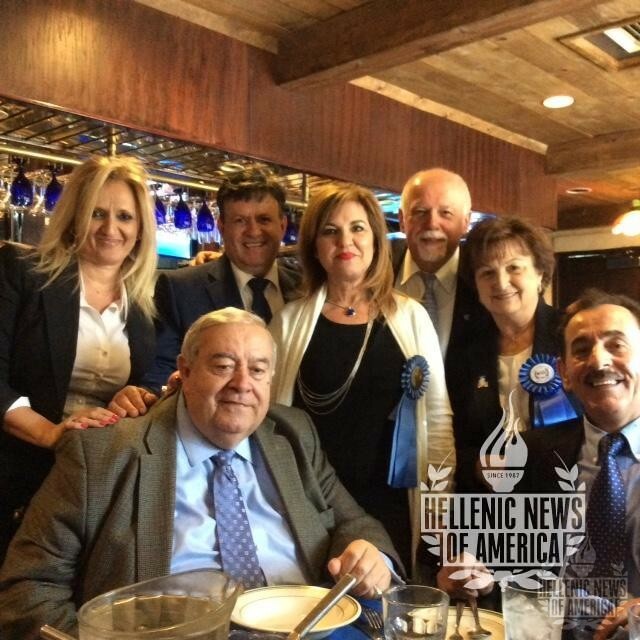 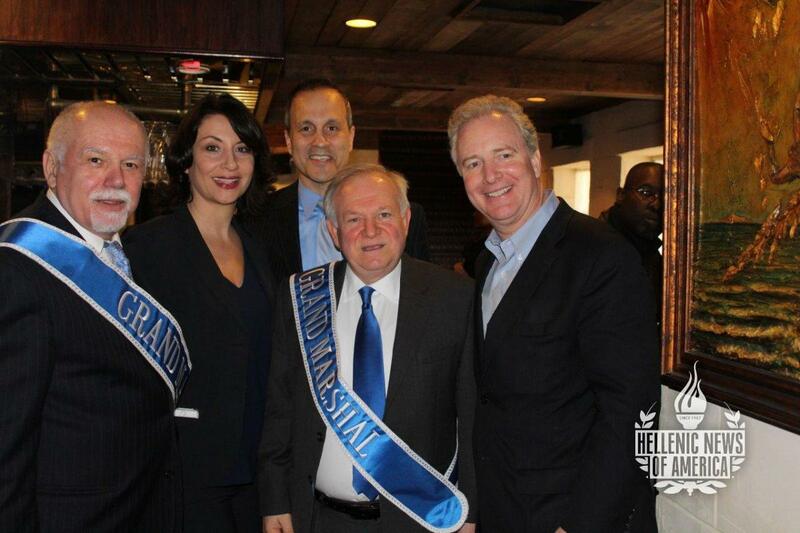 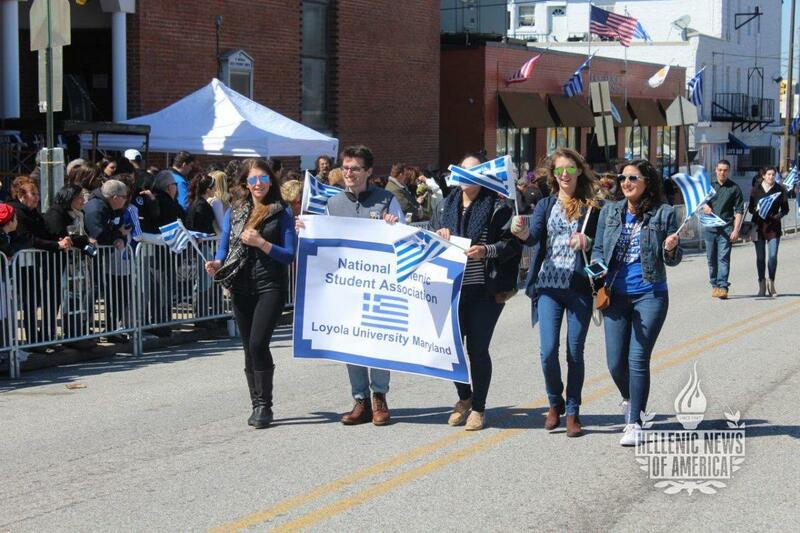 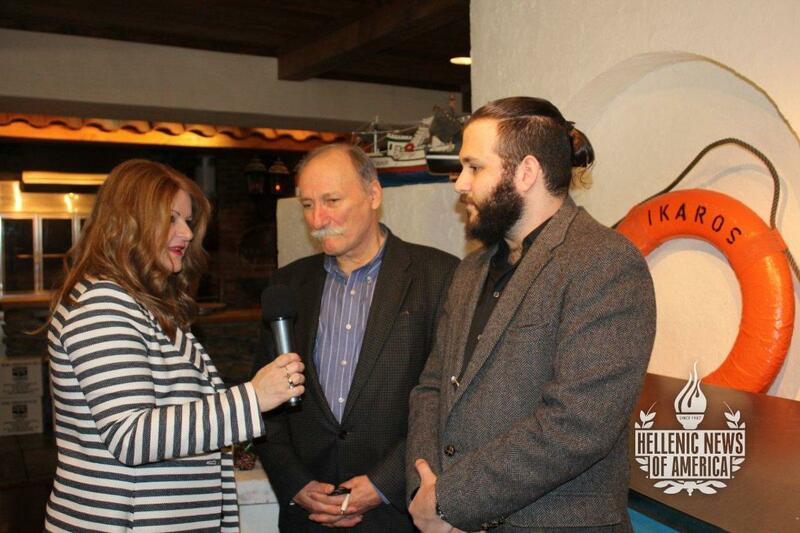 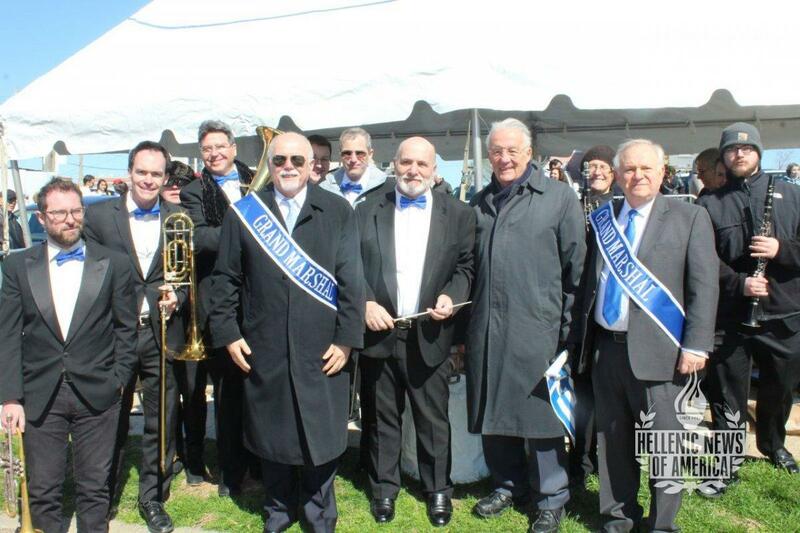 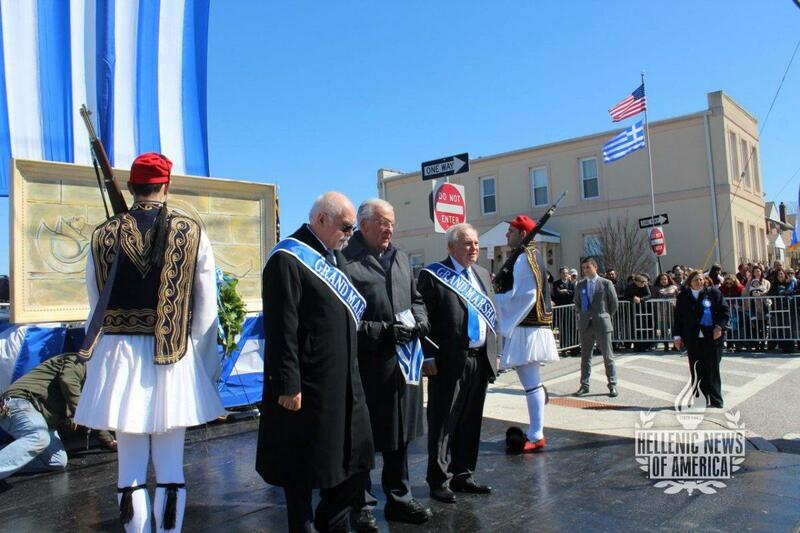 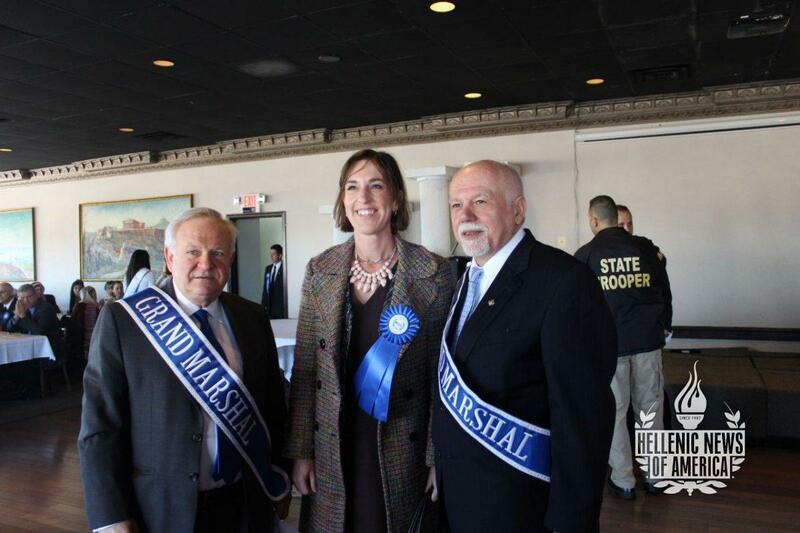 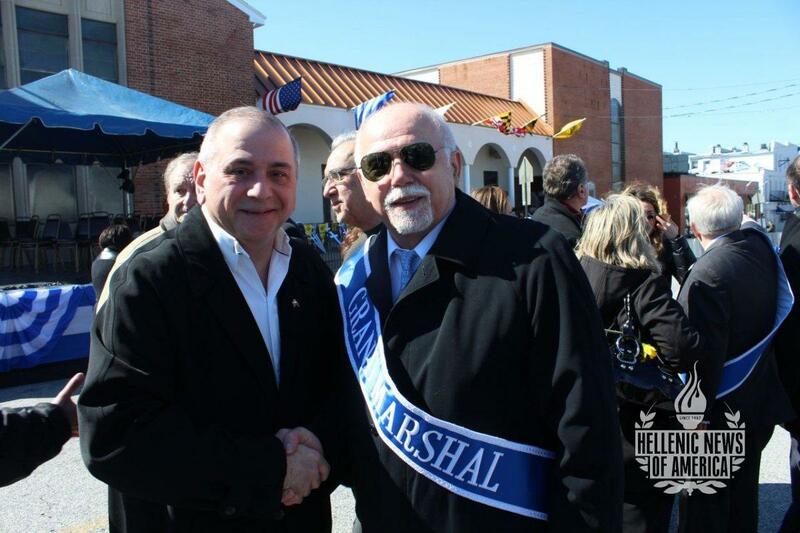 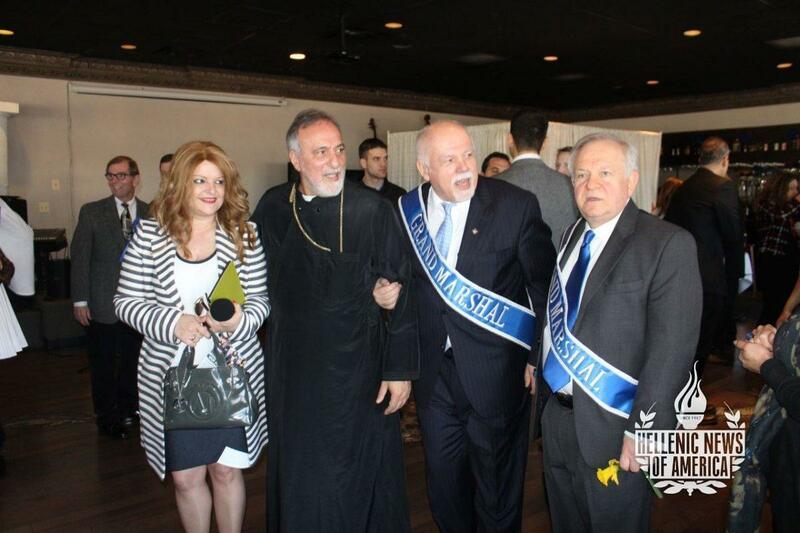 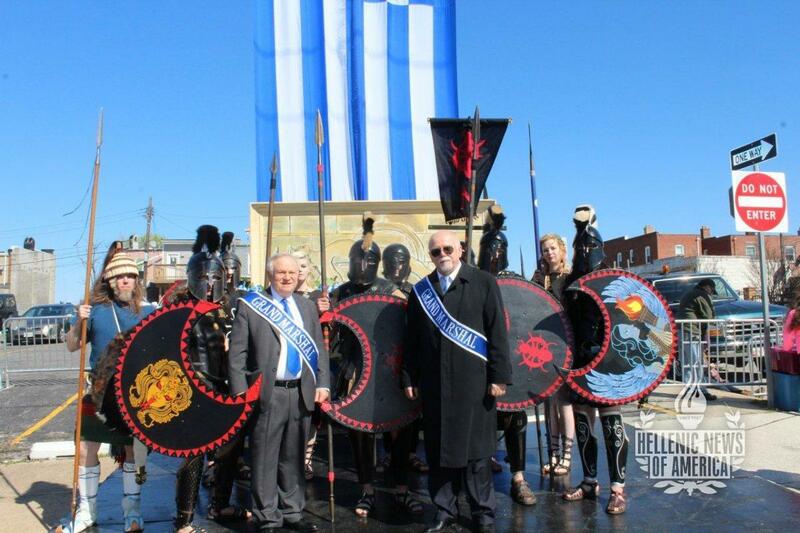 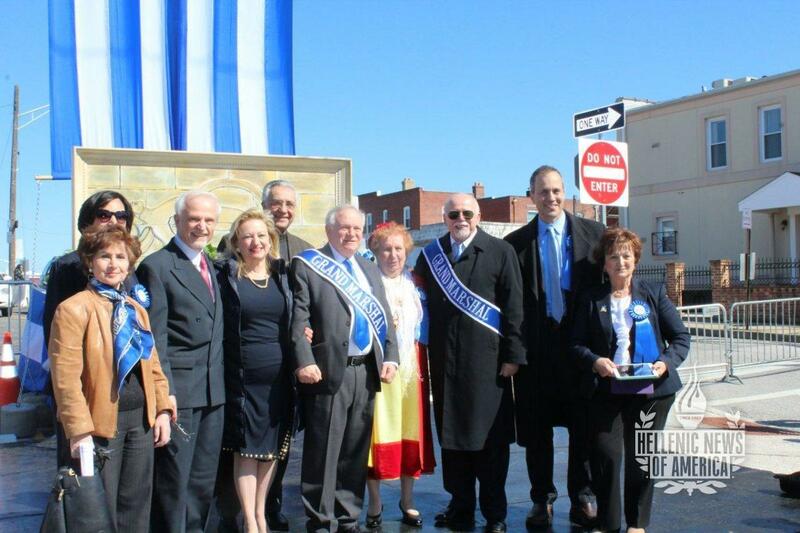 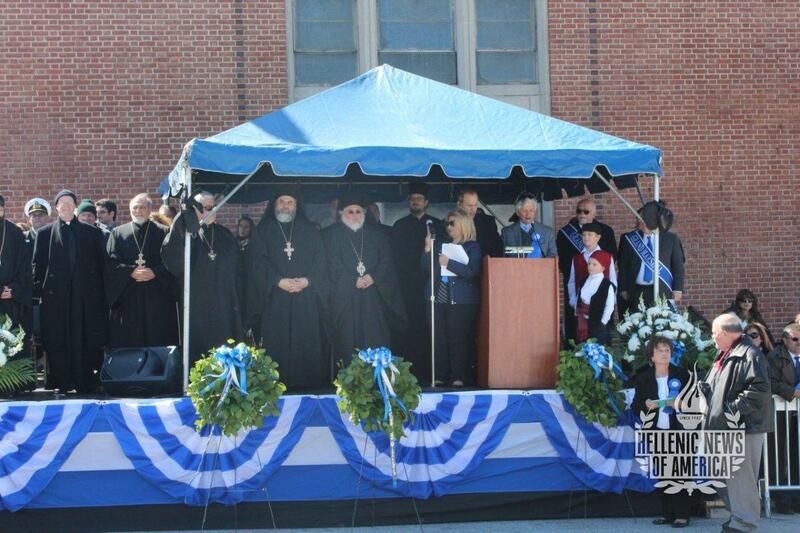 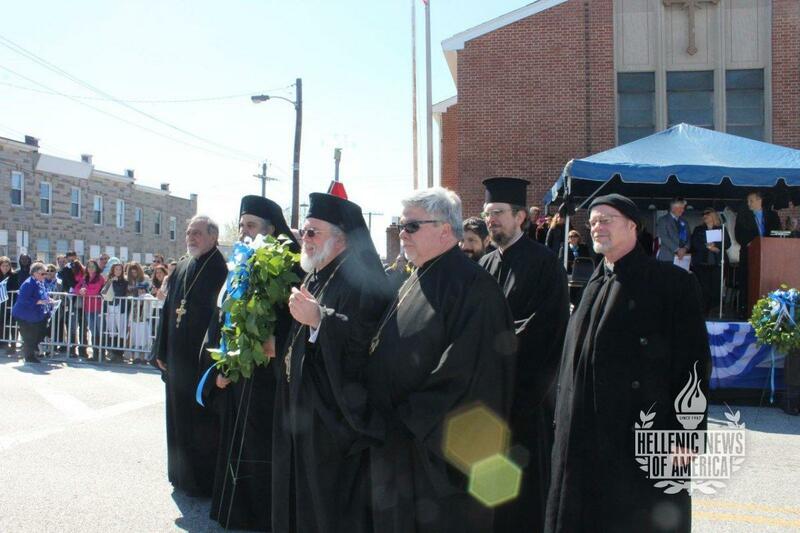 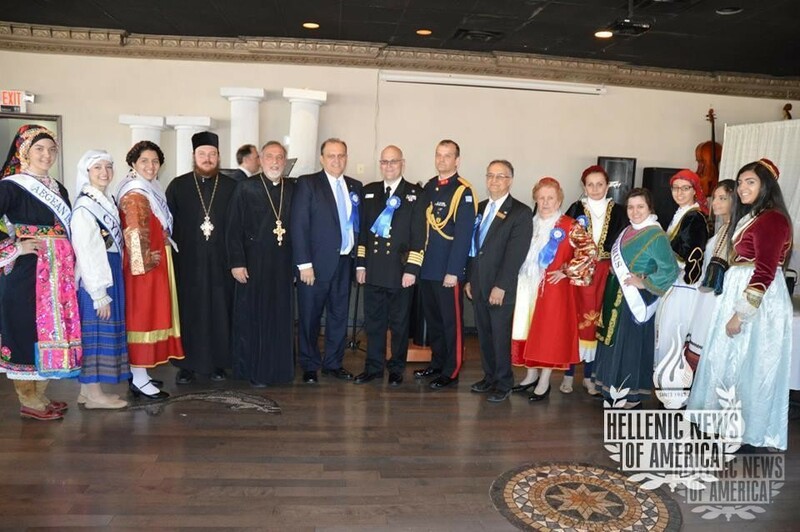 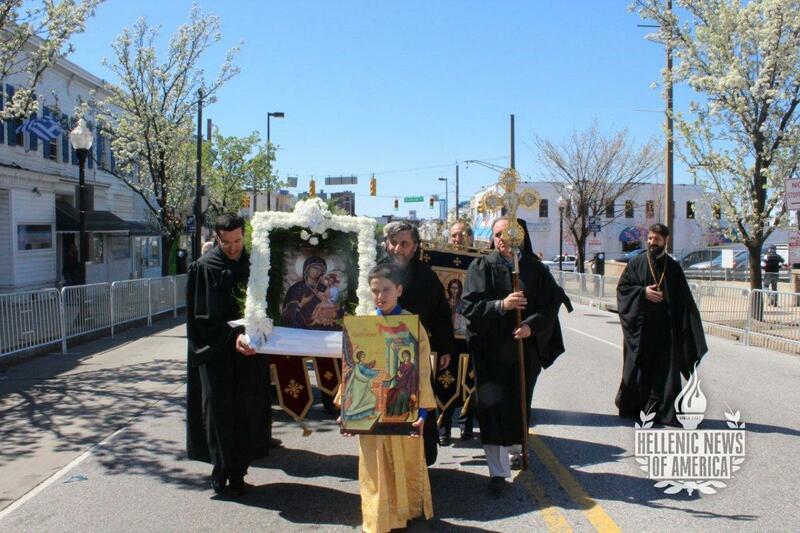 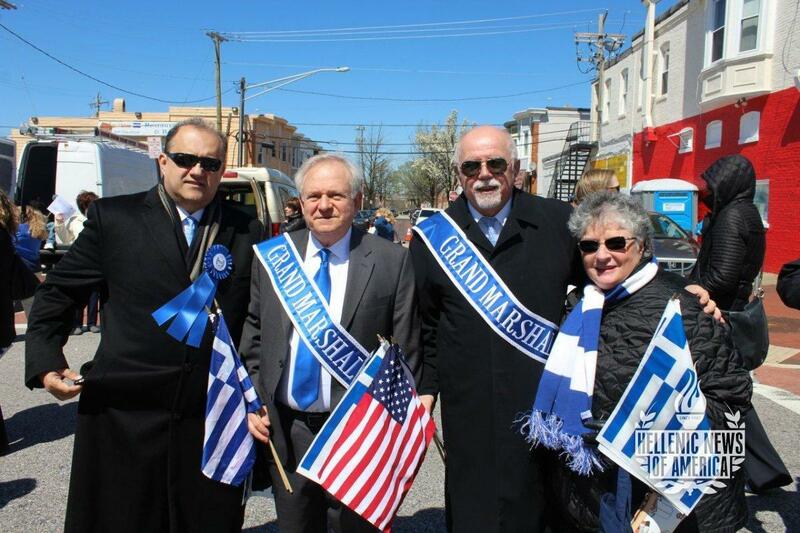 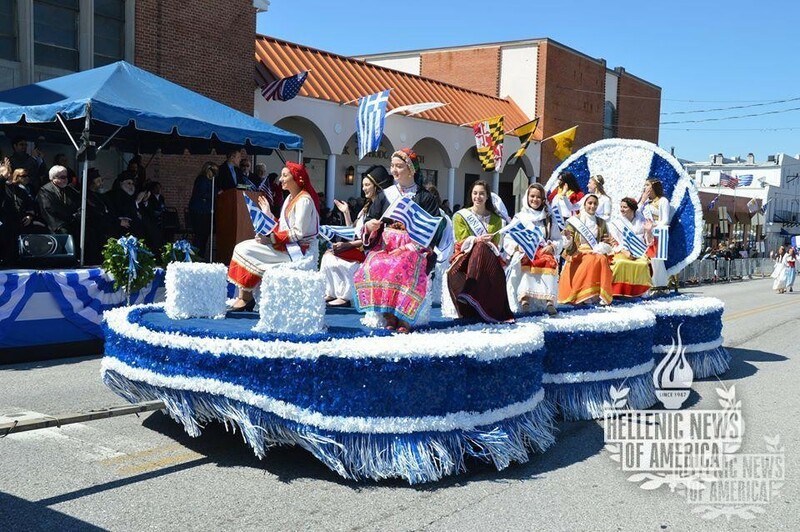 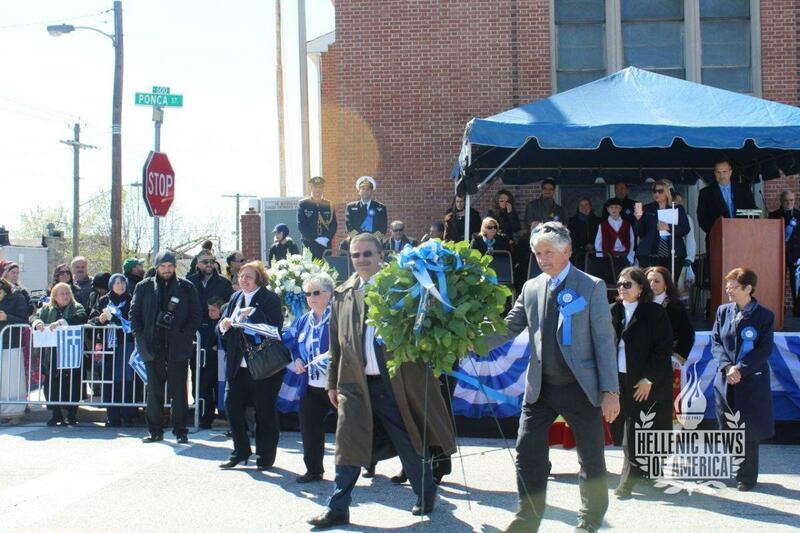 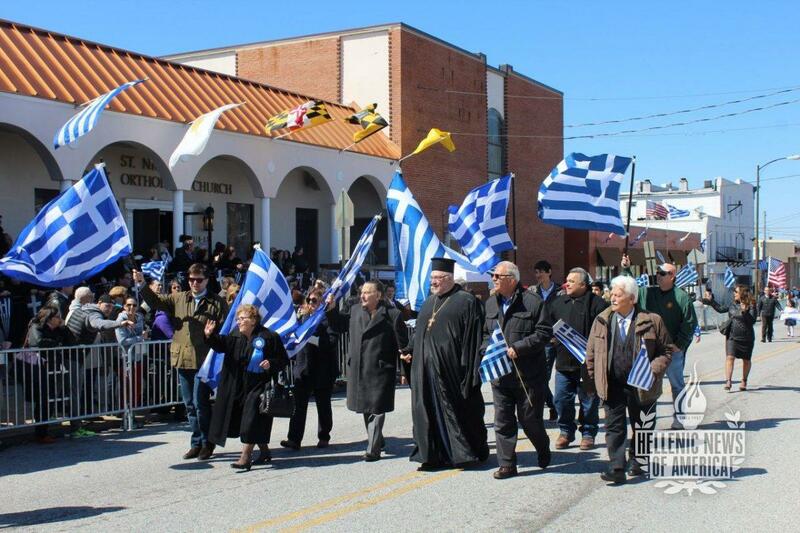 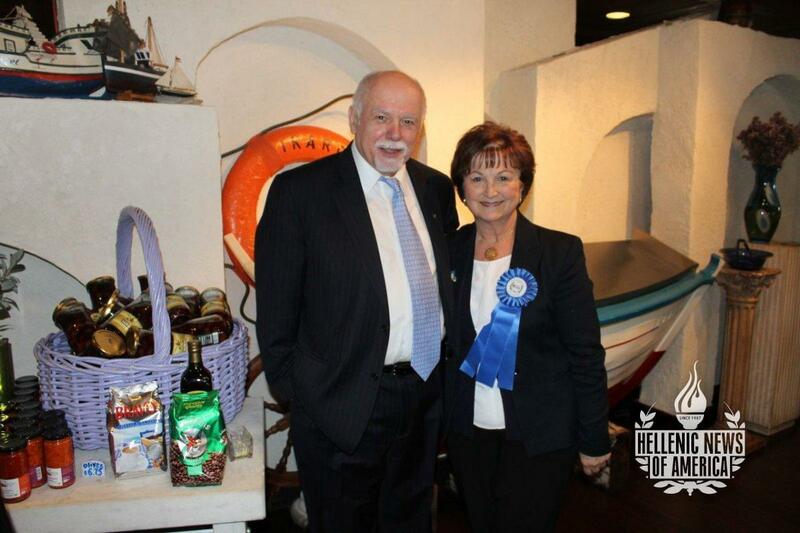 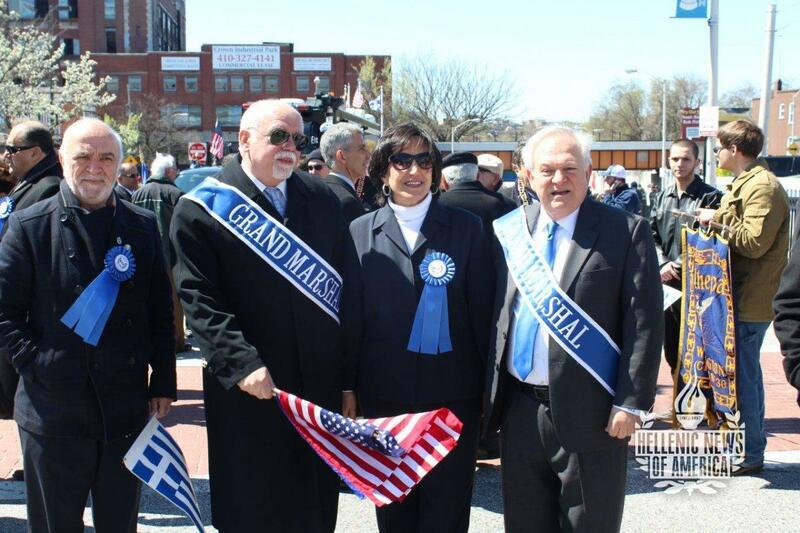 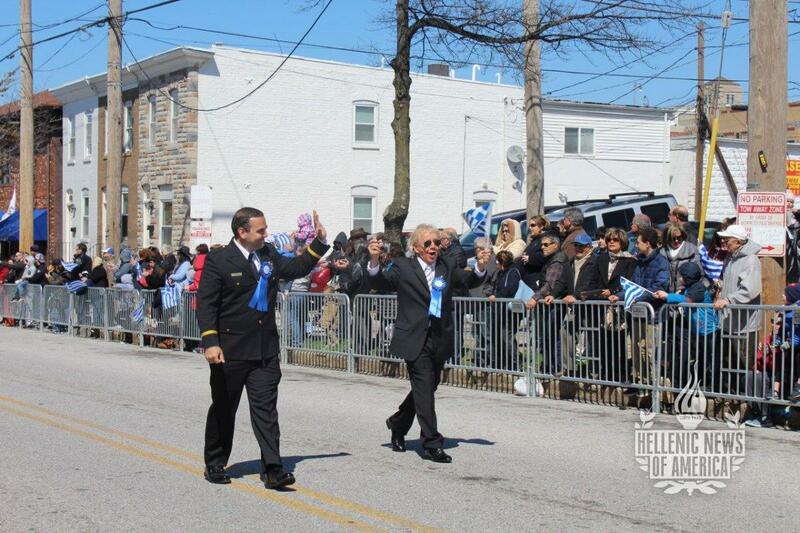 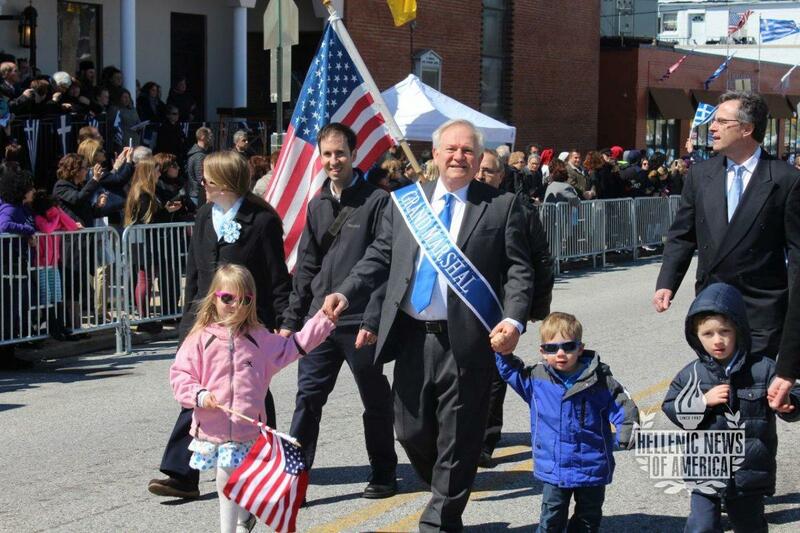 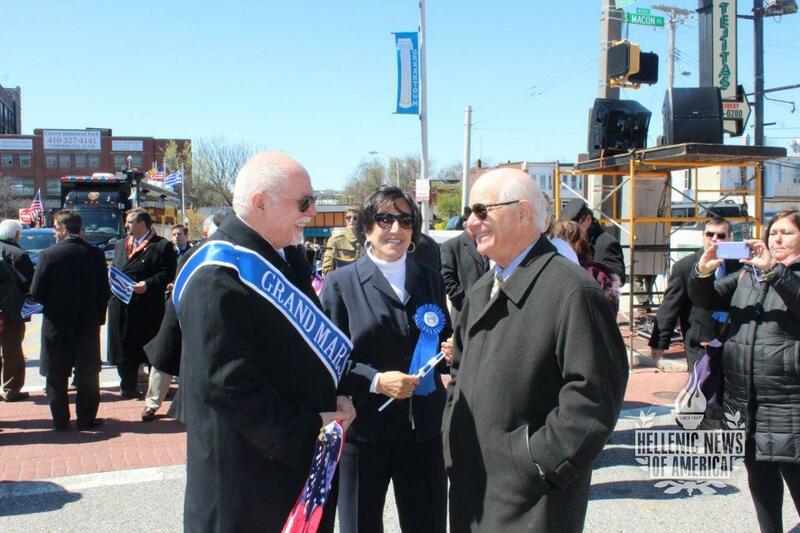 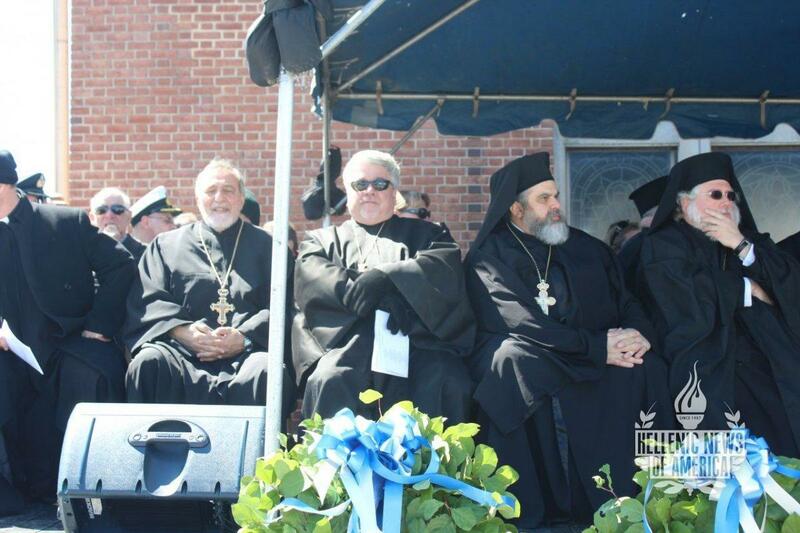 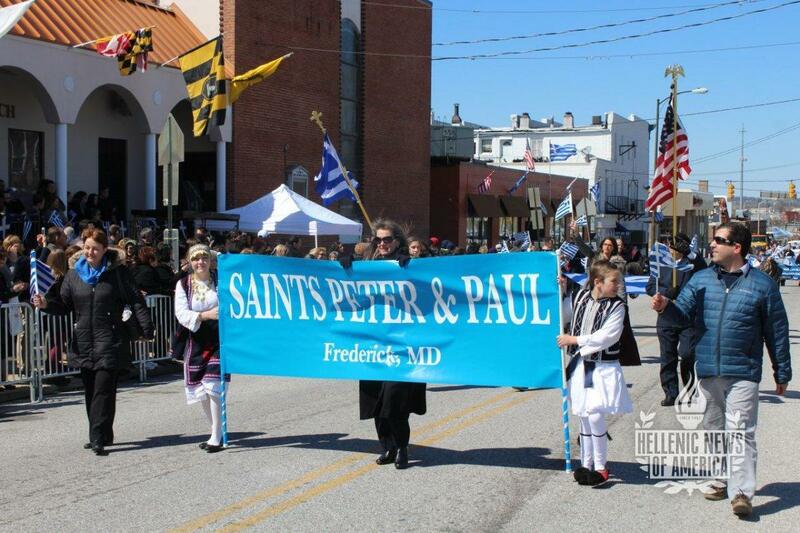 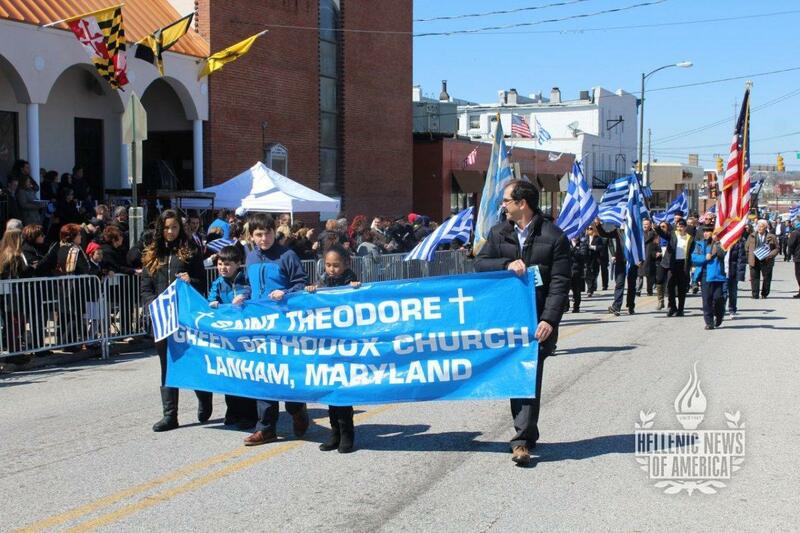 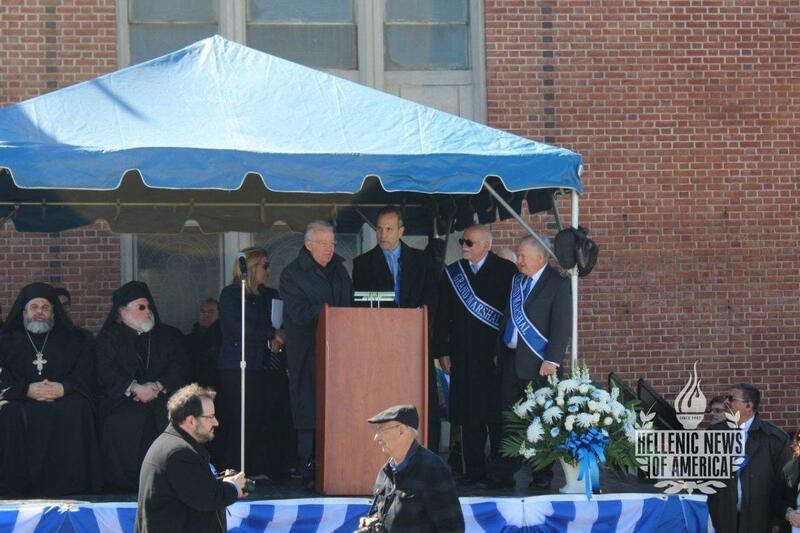 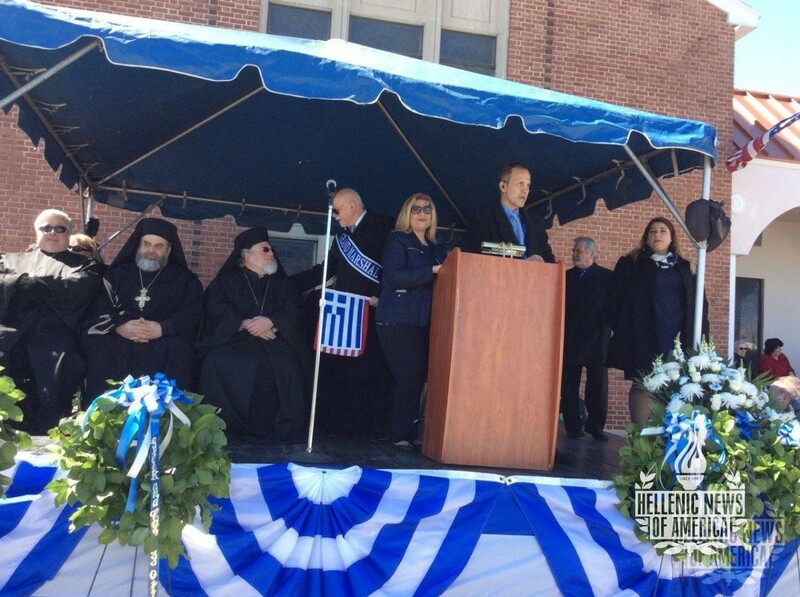 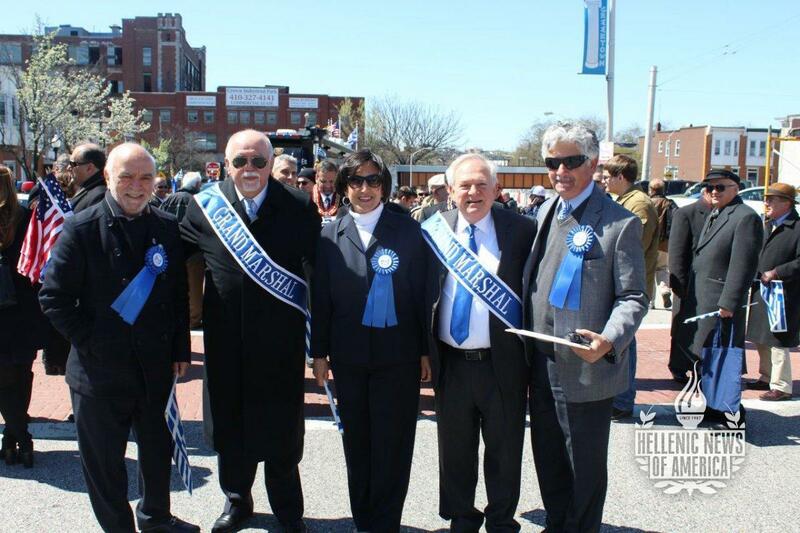 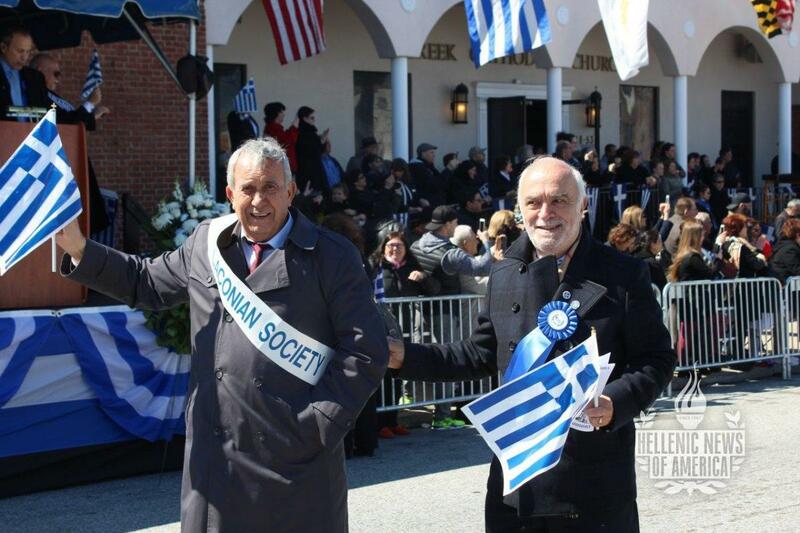 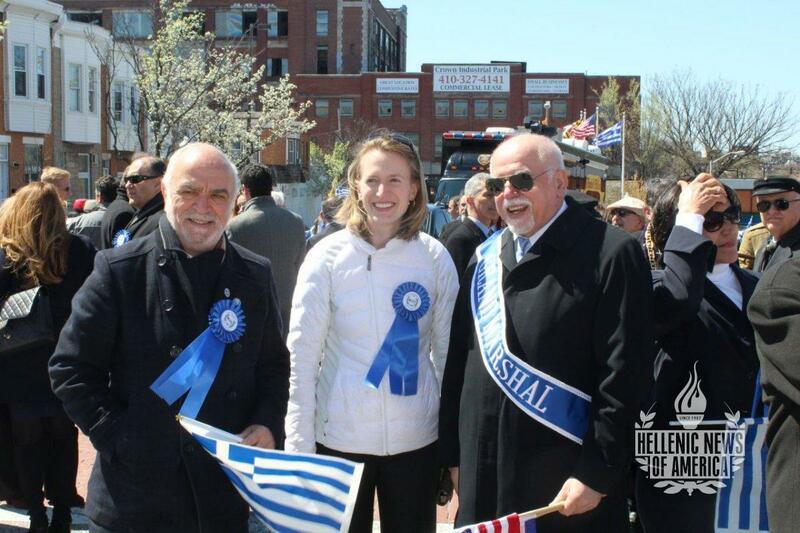 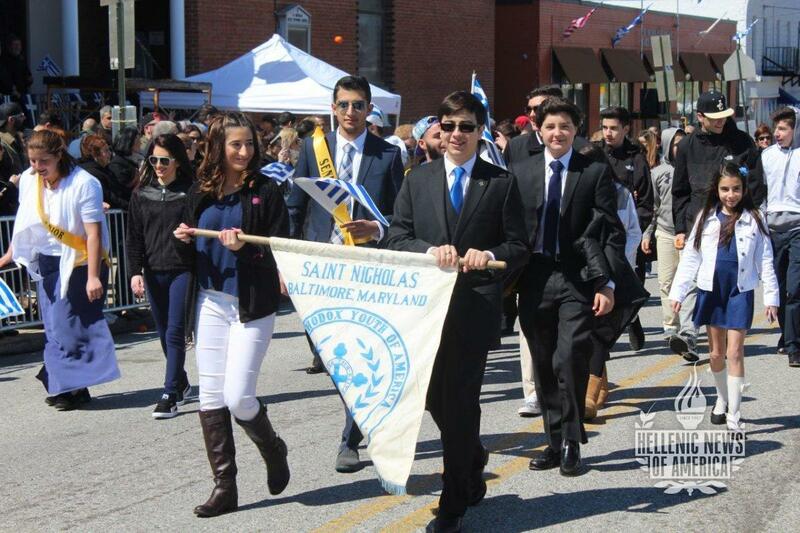 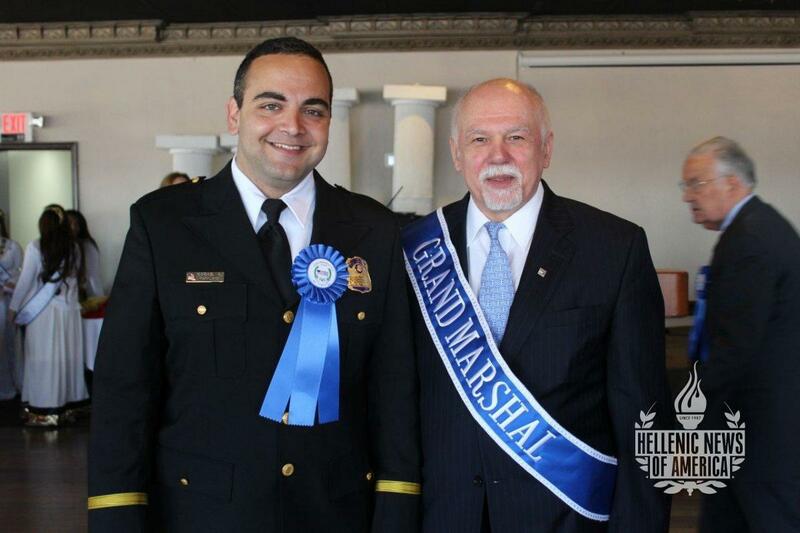 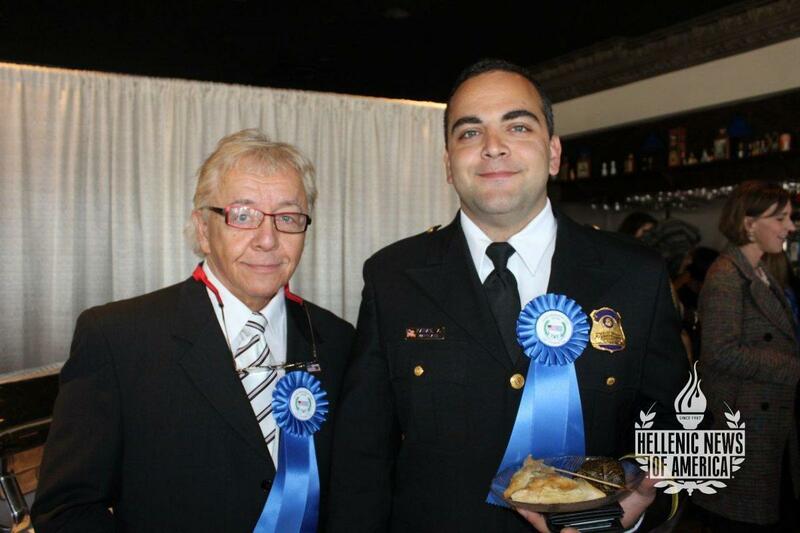 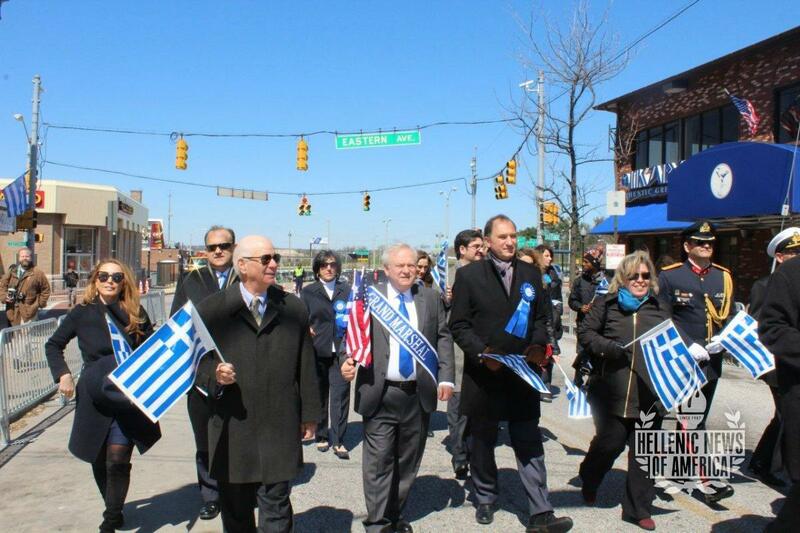 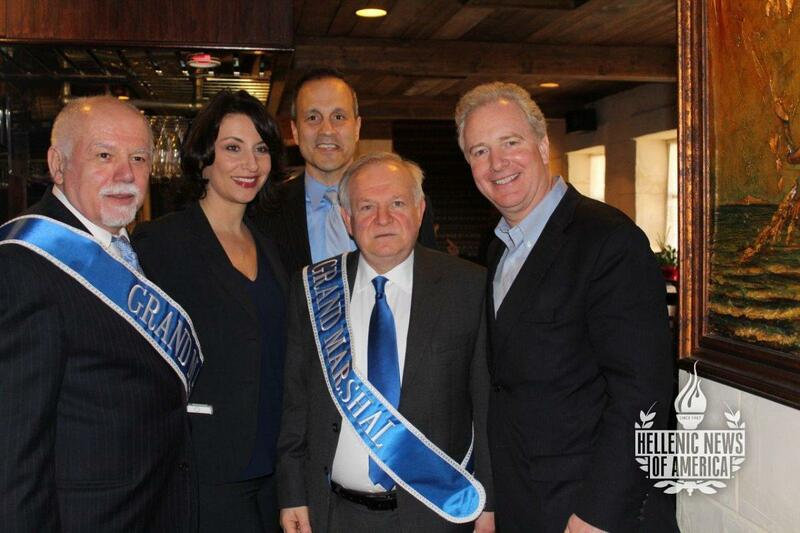 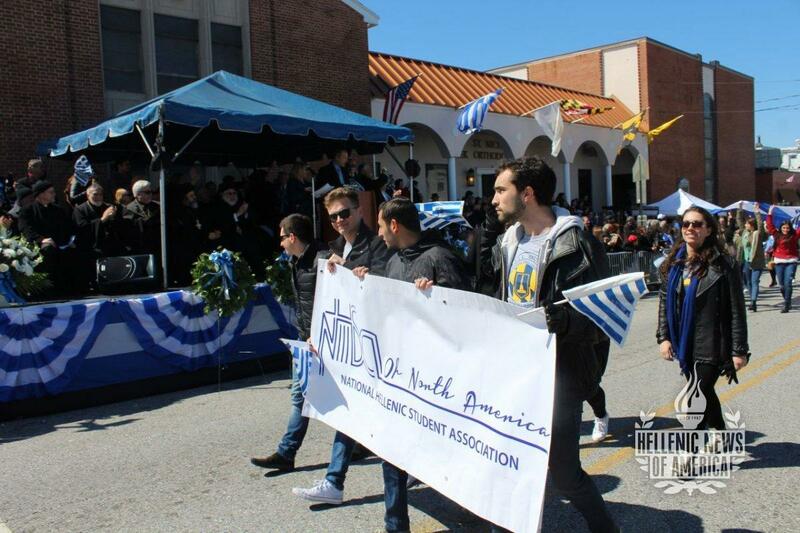 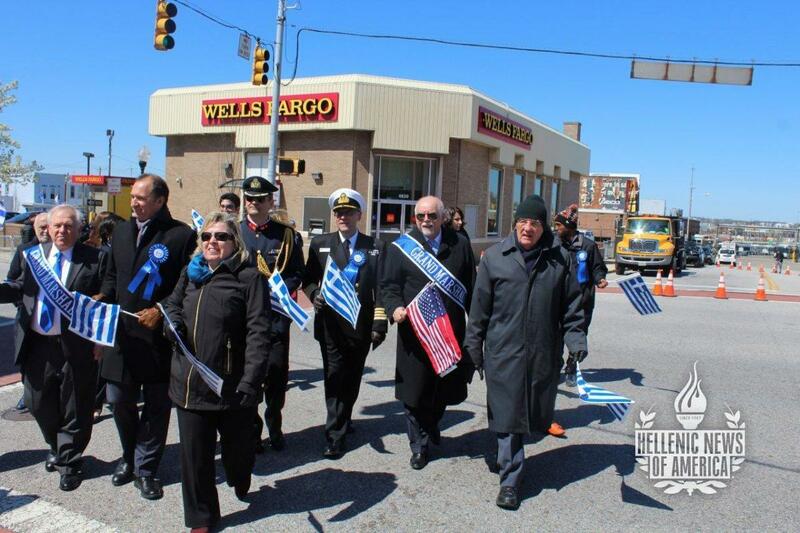 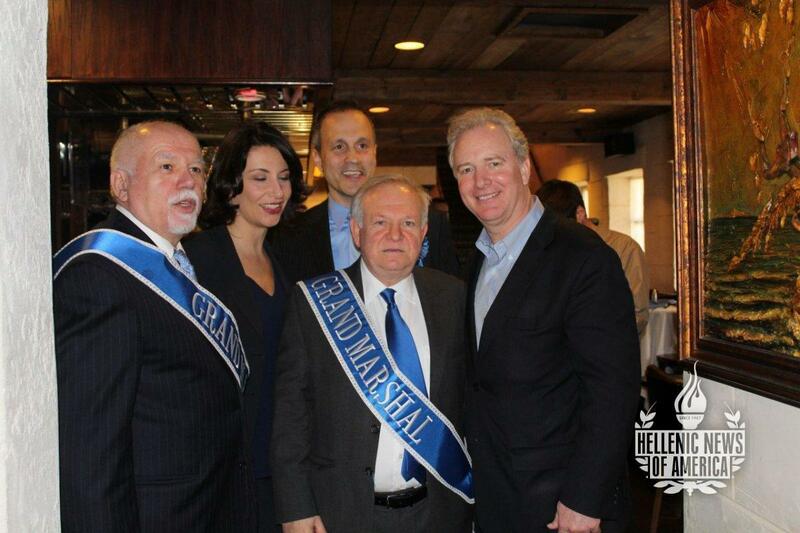 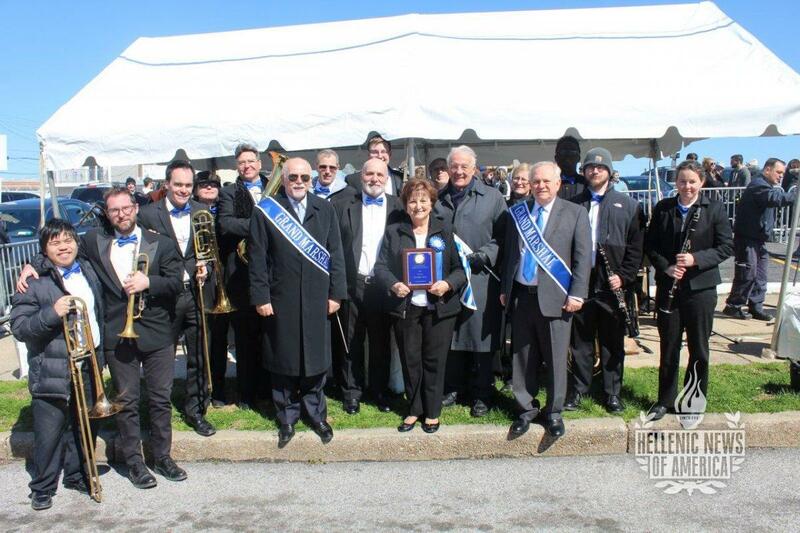 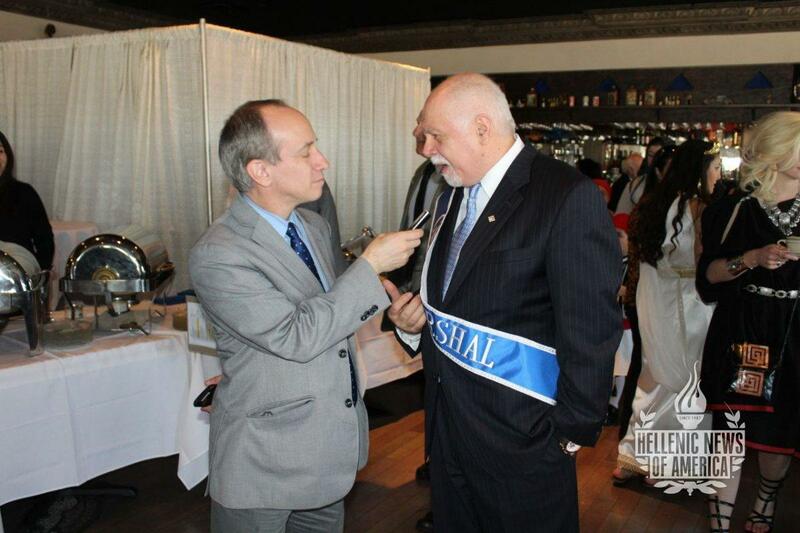 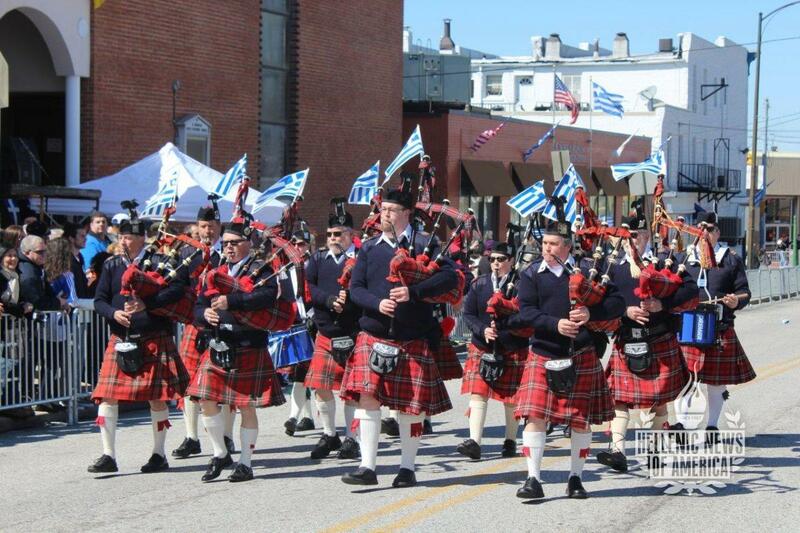 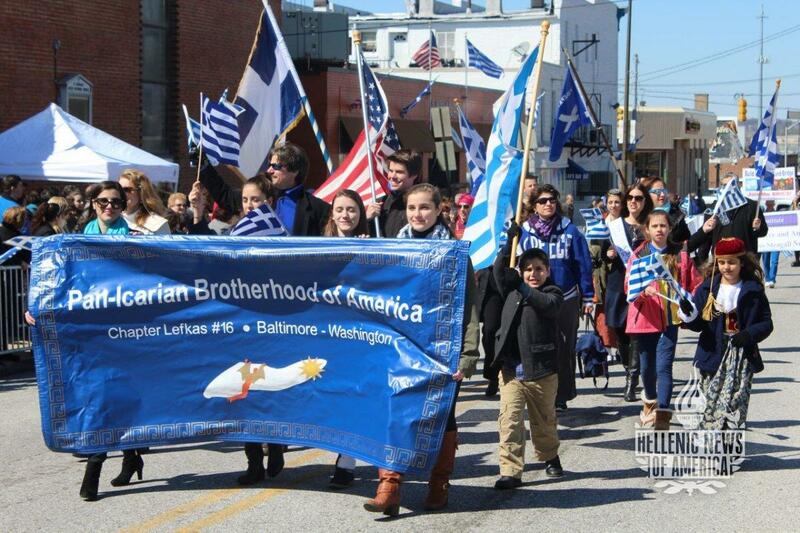 The Parade was led by this year’s Grand Marshals, Dr. Panayioti Baltatzis, past parade chairman and Secretary of HANC and Paul Kotrotsios, Founder & Publisher, Hellenic News of America and Hermes Expo International; along with other distinguished dignitaries including, Retired U.S. 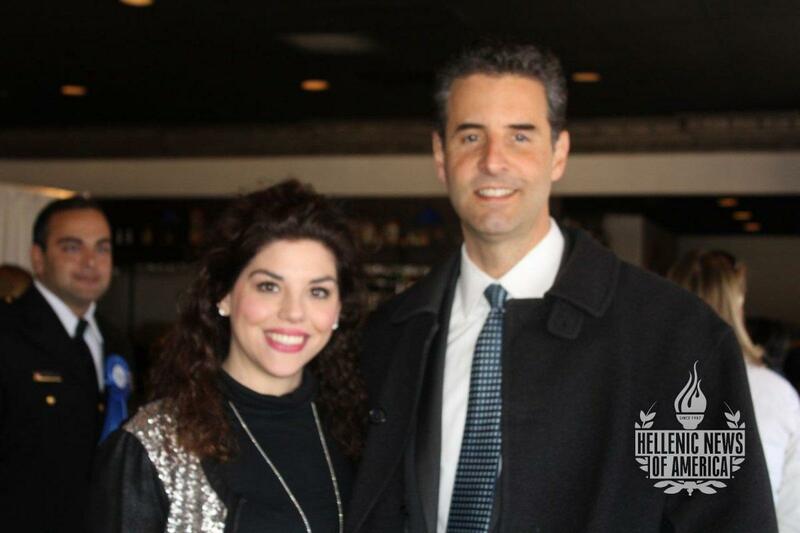 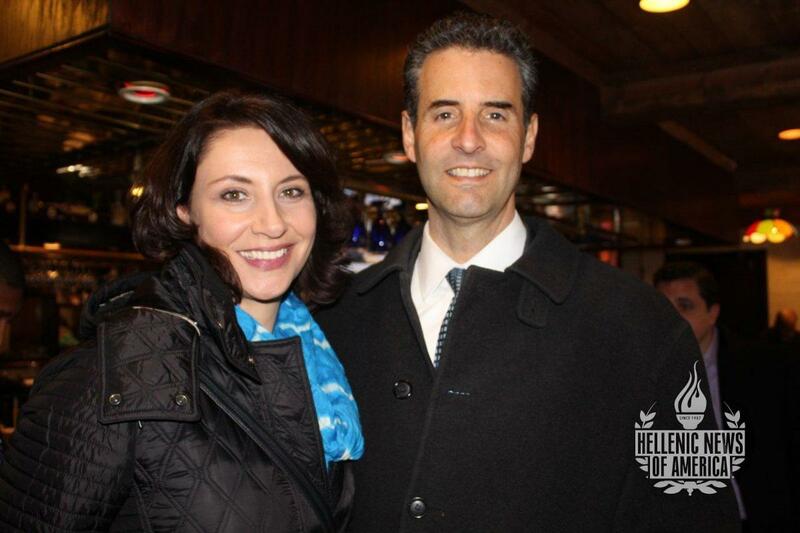 Senator Paul Sarbanes, U.S. 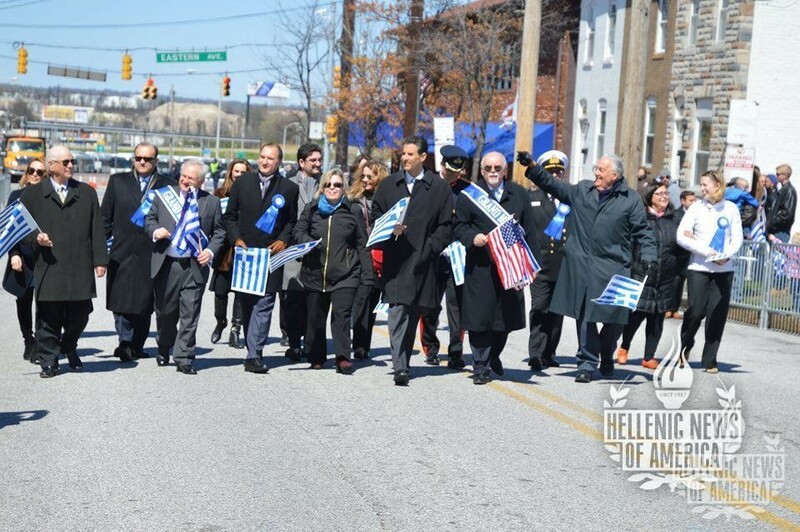 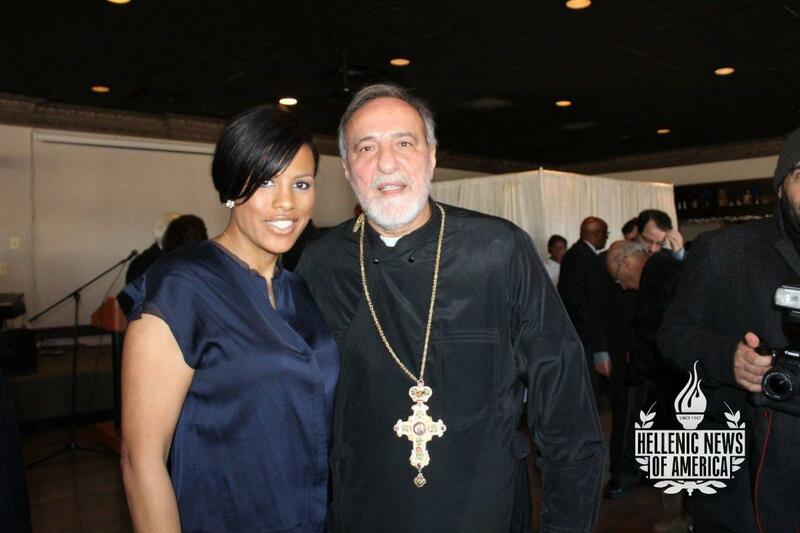 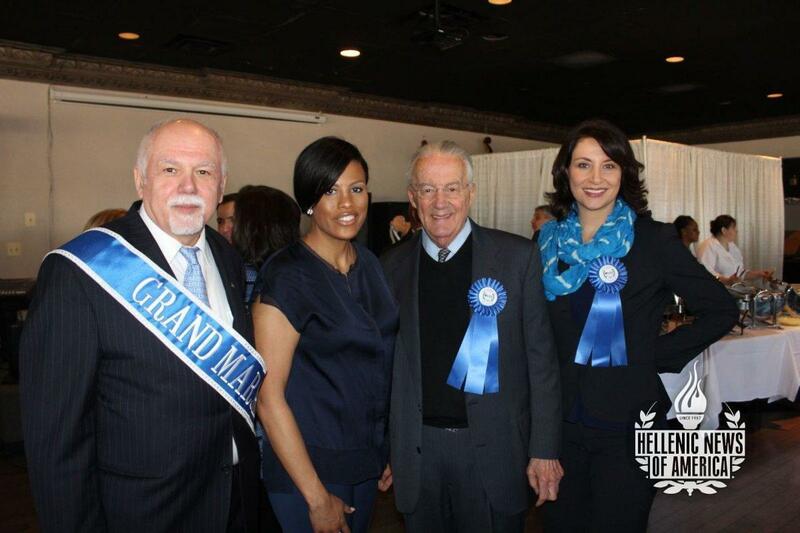 Congressman John Sarbanes, Aris Melissaratos, former MD Secretary of Business and Economic Development, AHI president, Nick Larigakis, the Mayor of Baltimore, Stephanie Rawlings-Blake and her Chief of Staff, Greek-American, Kaliope Parthemos and other local and state officials. 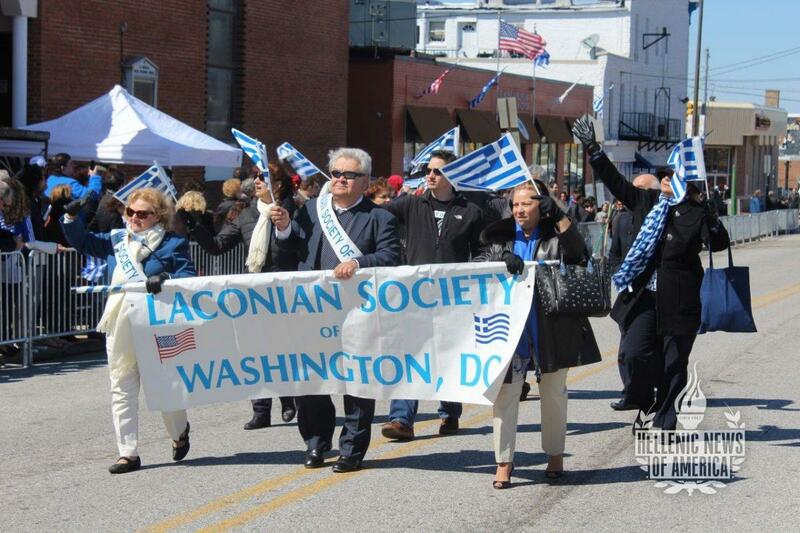 The groups, which included the Greek Schools, Dance Troupes and parish members from the Greek Orthodox Churches of Maryland, Washington DC and Virginia were dressed in their ethnic costumes and the coveted colors, blue and white, waving Greek flags and marching to the beautiful sounds of the Hellenic Philharmonic Society Band of New York under the direction of Spiros Svolakos. 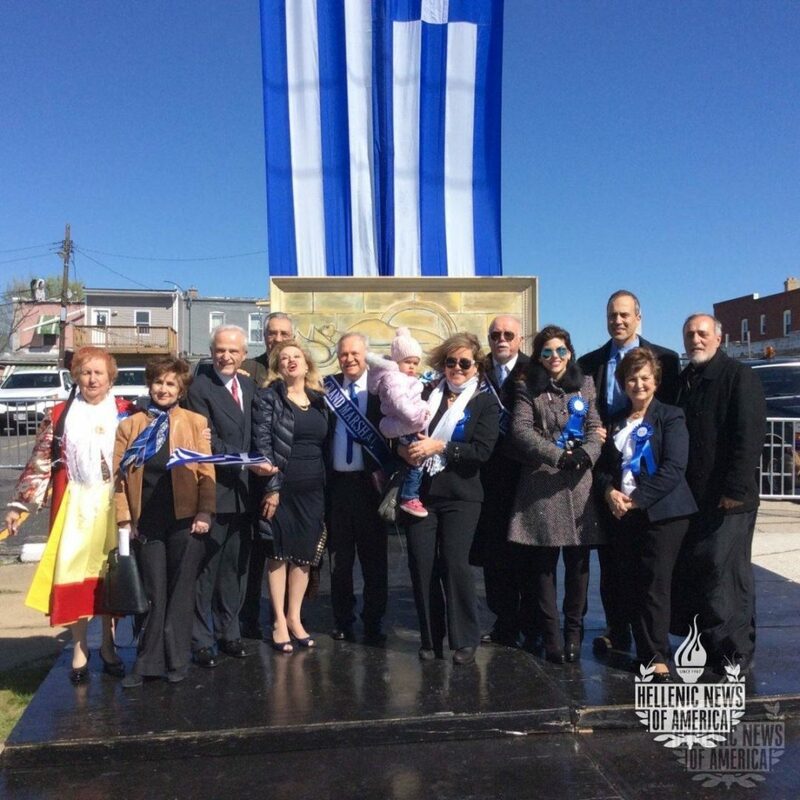 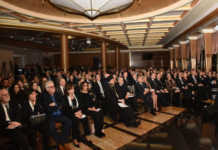 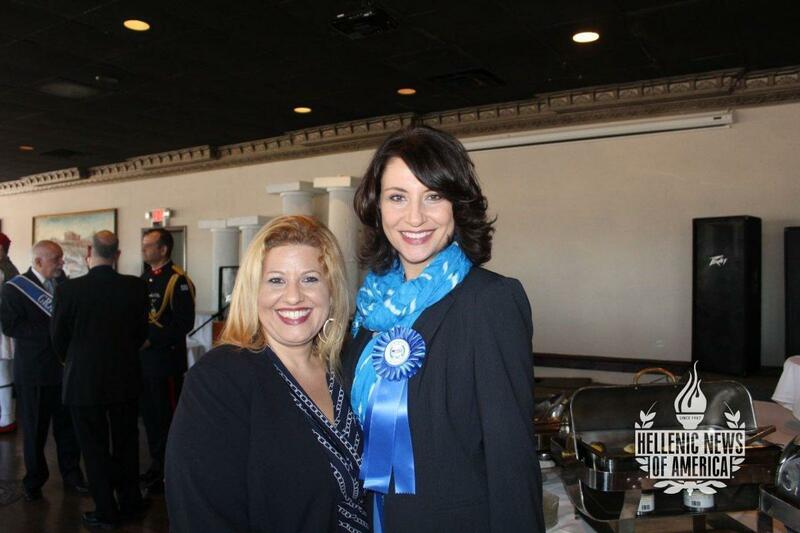 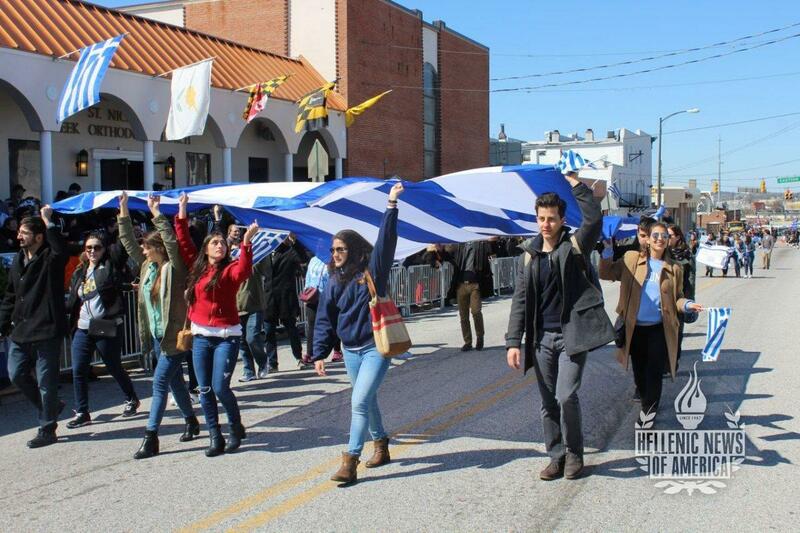 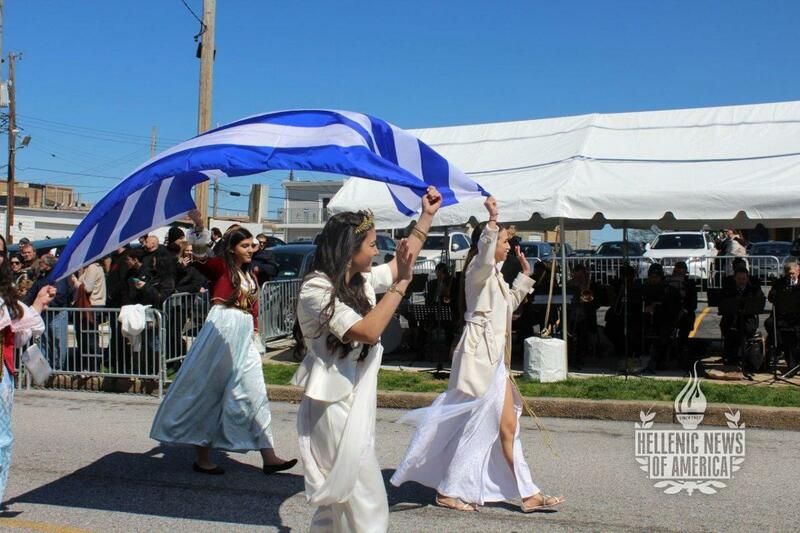 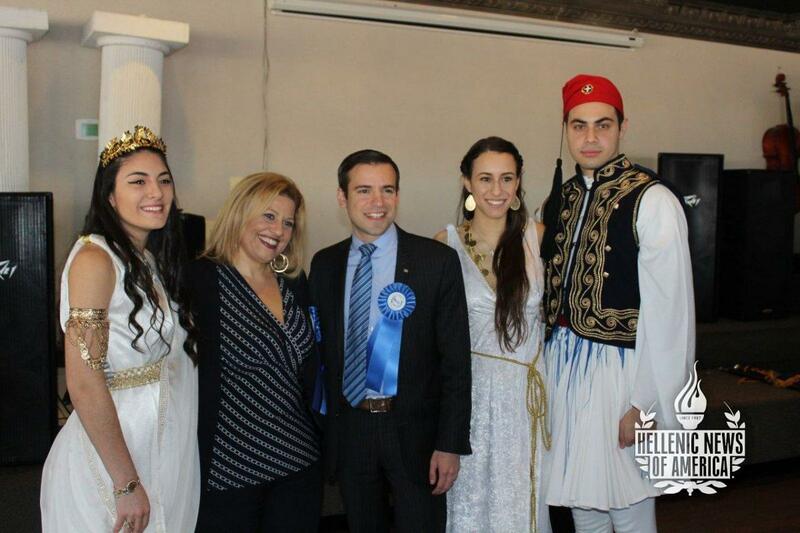 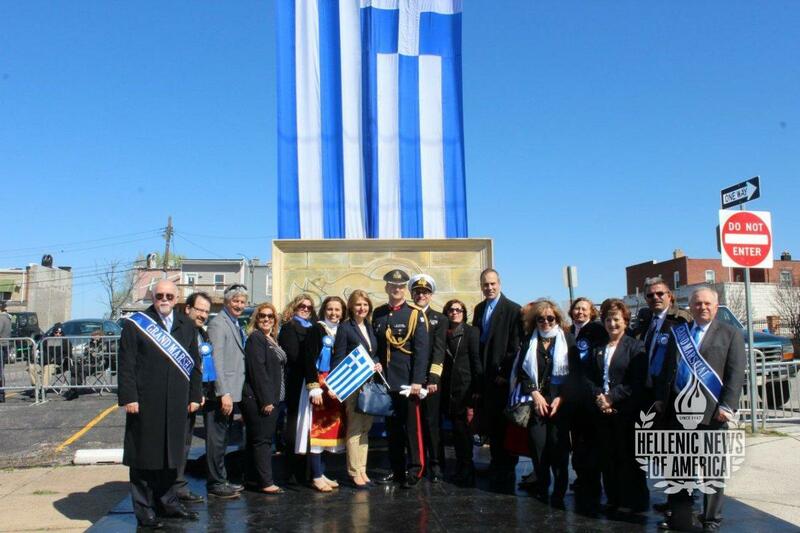 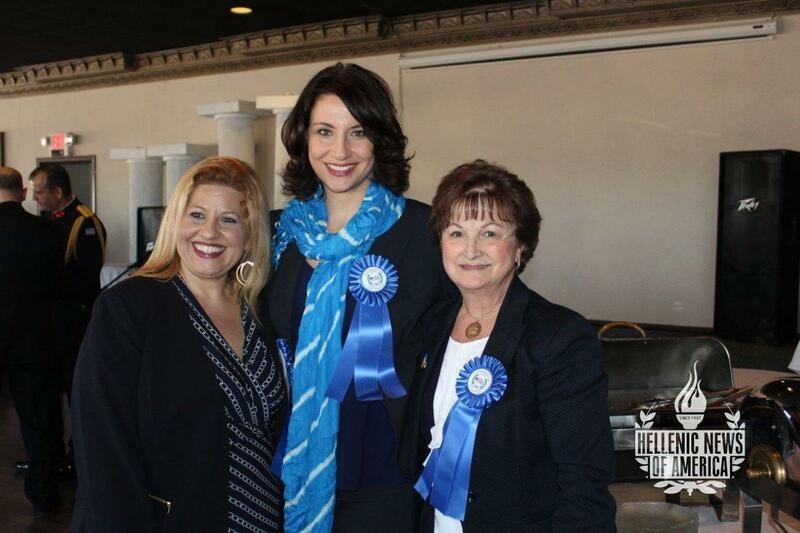 Representatives of chapters of the AHEPA and Daughters of Penelope along with many societies representing various regions and islands of Greece also participated in displaying their pride in their heritage. 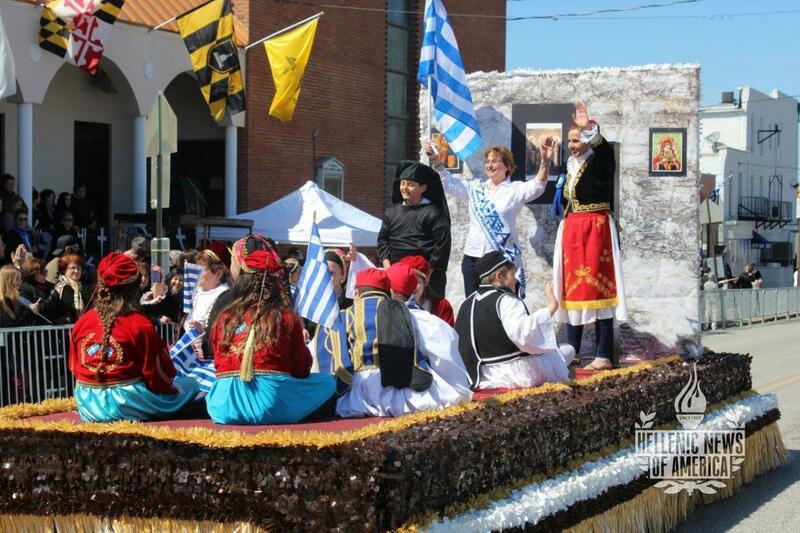 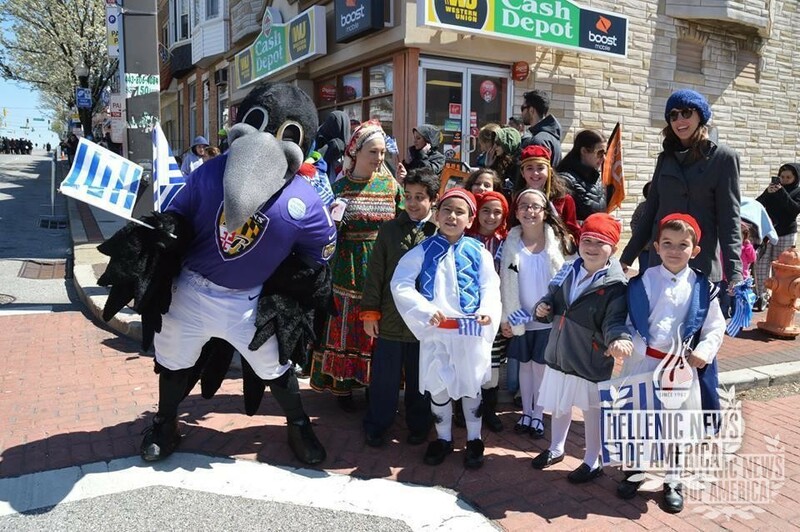 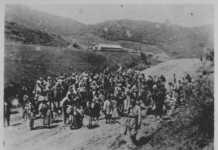 Especially beautiful were the floats which included the “ΚΡΥΦΟ ΣΧΟΛΙΟ” paying homage to the underground secret schools that the children, enslaved under Ottoman rule, attended. 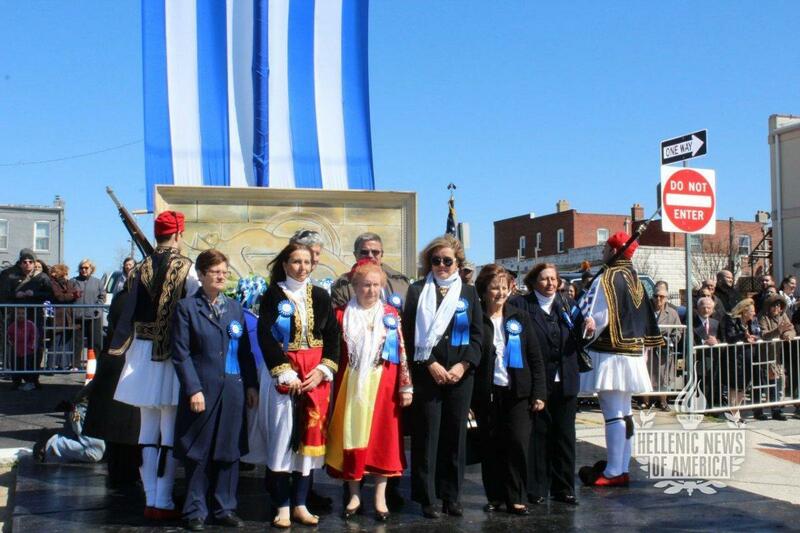 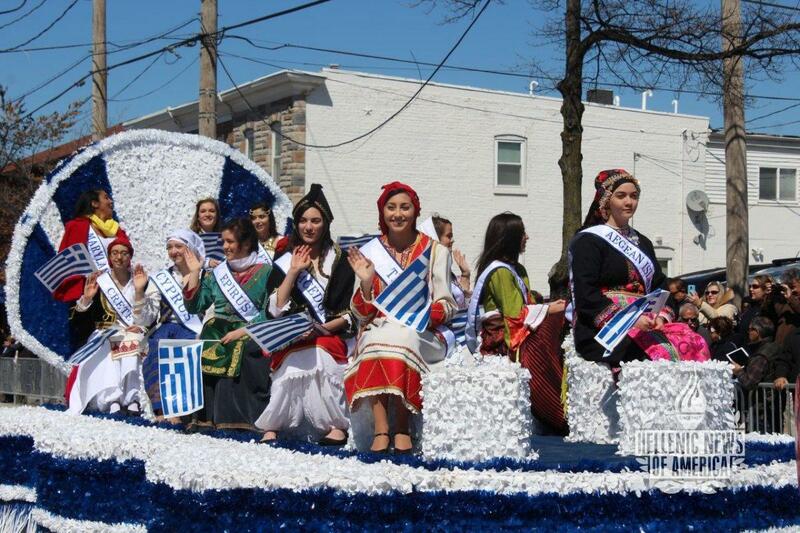 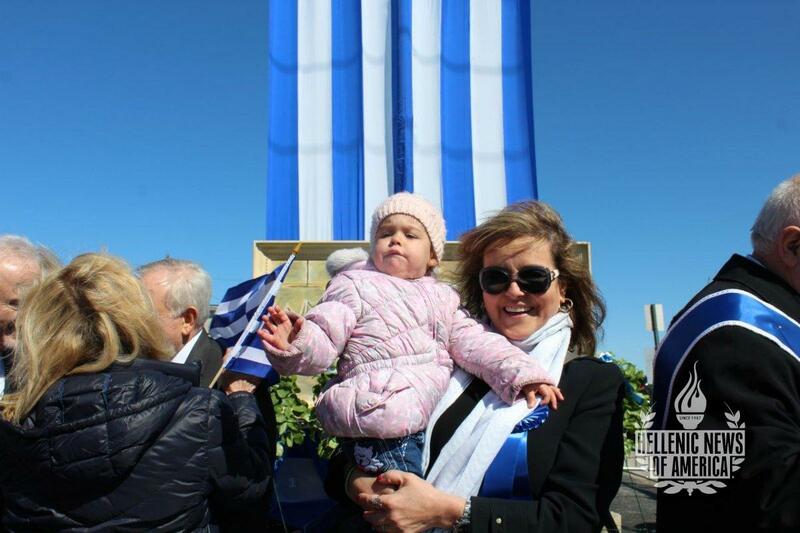 Some of the most iconic female figures of our Greek History, the “Heroines of the Hellenic Revolution of 1821” were honored on another, while leading the parade of floats was the “Float of Regions,” with ethnically dressed girls from each region of Greece, alongside the beautiful young ladies representing “ΕΛΛΑΔΑ” (Hellas), “ΕΛΕΥΘΕΡΙΑ” (Liberty), and Maryland, for it is a double celebration for Maryland on March 25 as it is Maryland Day as well as our Greek Independence Day. 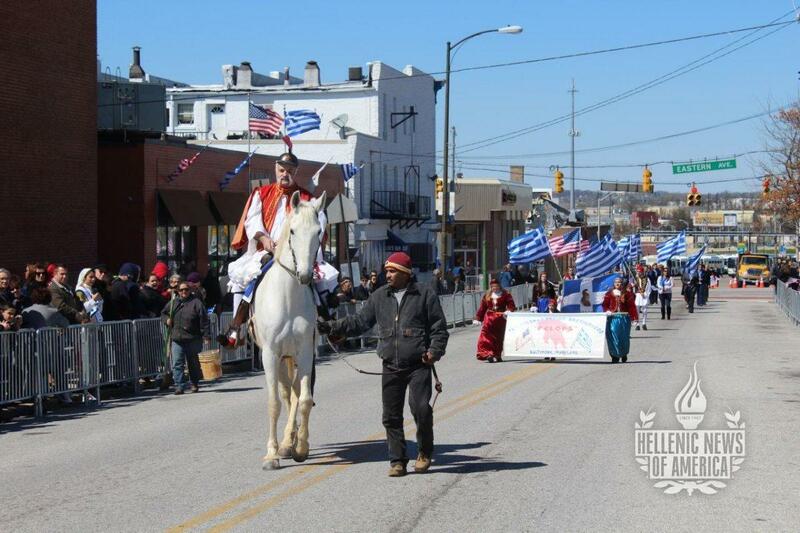 And once again this year, the celebration of our heroic warriors of 1821 would not have been complete without the iconic figure of General Theodoros Kolokotronis, gallantly making his way along the parade route on his coveted horse. 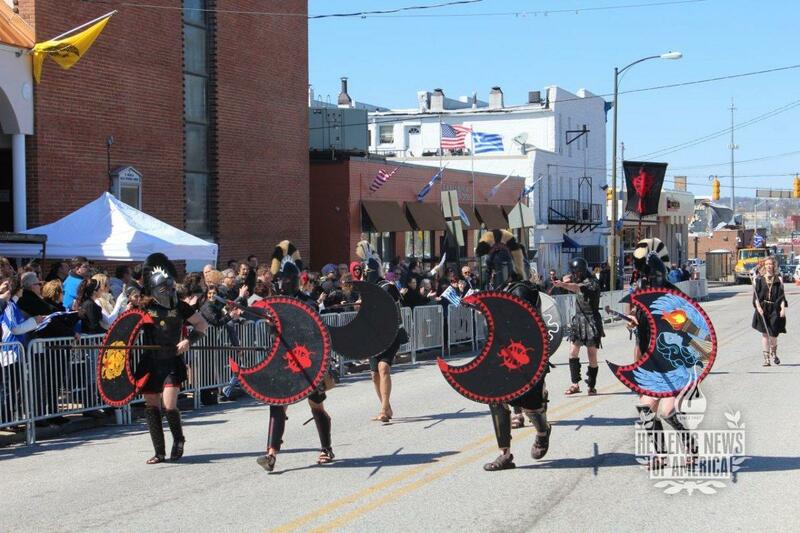 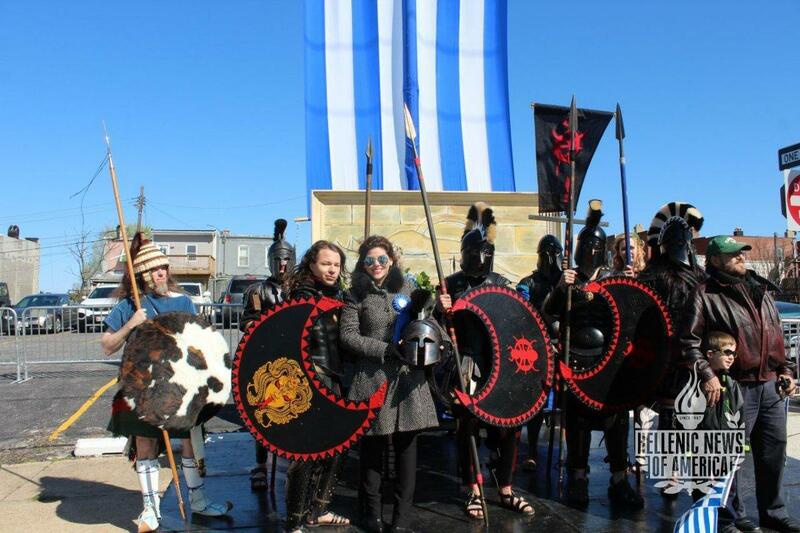 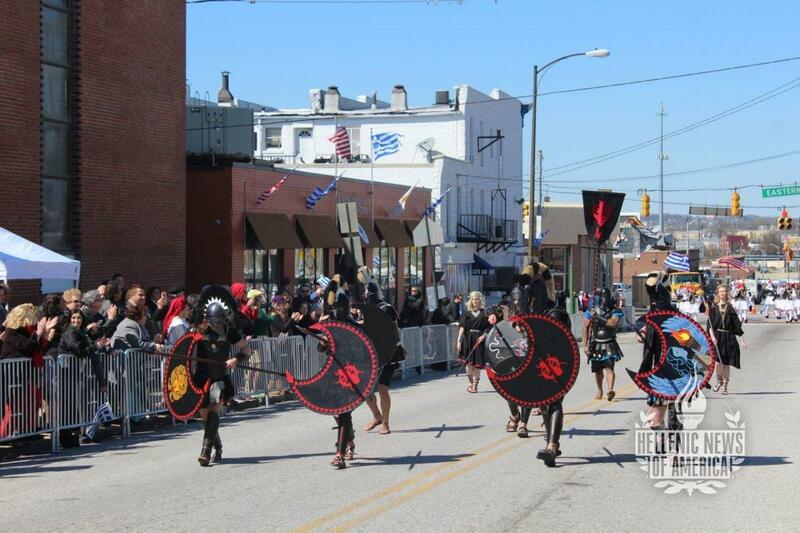 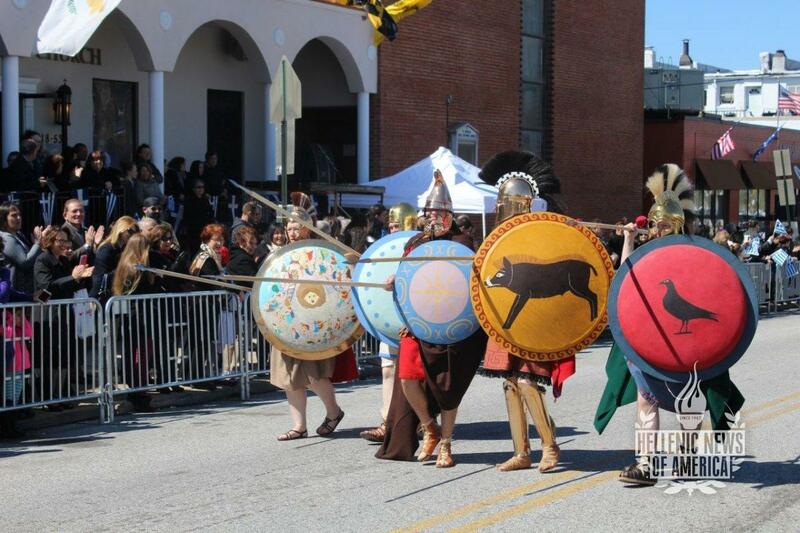 Living history groups such as the Myrmidons from Pennsylvania illustrated the revered skills of the mighty warriors of Achilles as well as the Hellenic Warriors who portrayed and reconstructed with historical accuracy the clothing, equipment and fighting skills of the ancient Greeks oplites. 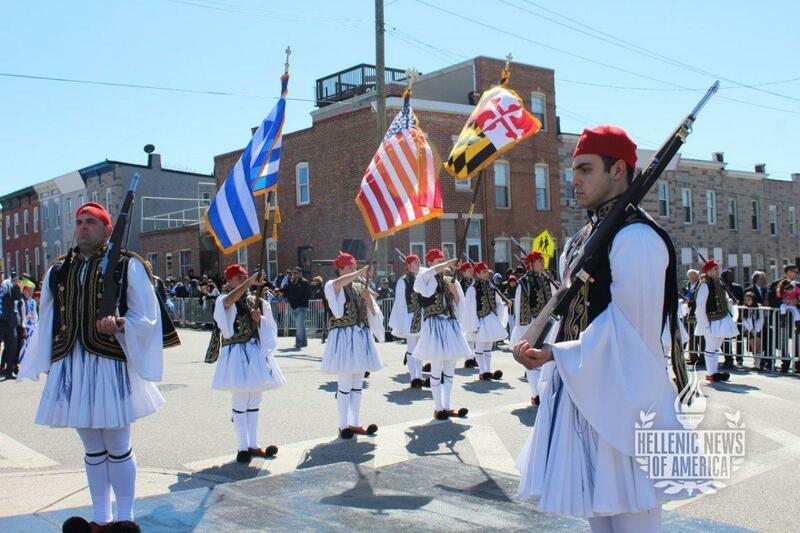 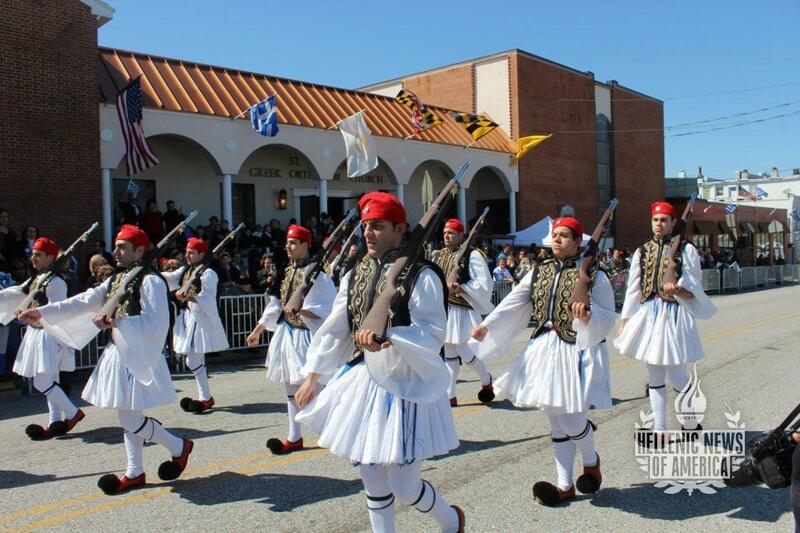 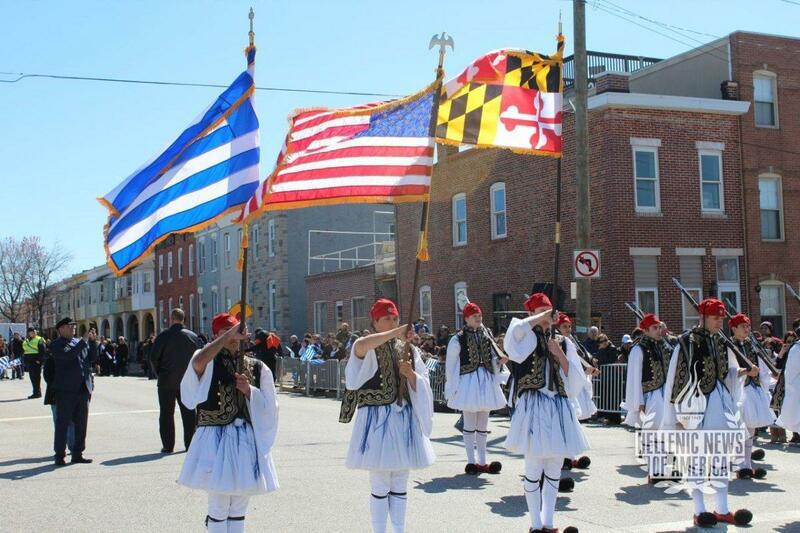 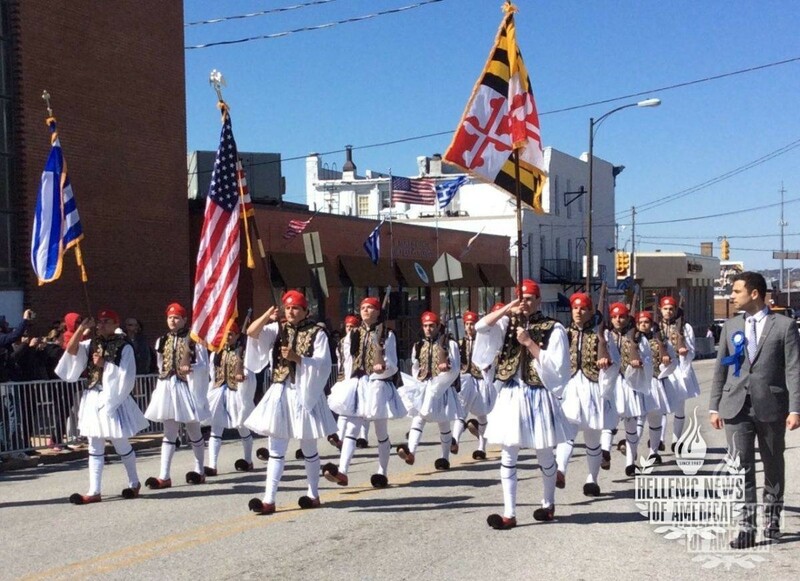 The epilogue of the Parade was the somber march of a group of young men from Maryland, who trained for many months under the supervision of Stavros Katsas, who was a Sergeant of the Hellenic Presidential Guard to offer the spectators a depiction of the ceremonies performed by the historical elite light infantry, also known as the Evzones. 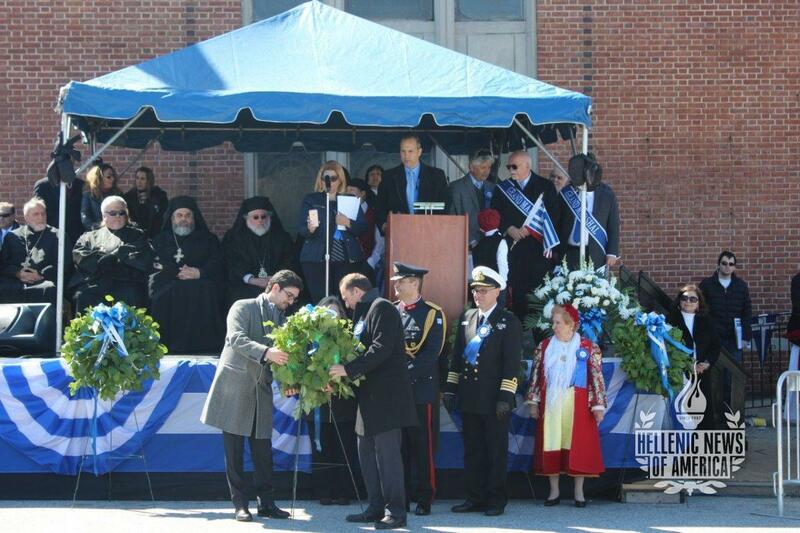 The ceremony concluded with the Laying of the Wreaths by Dimitrios Angelosopoulos, Consul of the Embassy of Greece and Konstantinos Polykarpou, Consul of the Embassy of Cyprus, as well as Col. Panagiotis Kavidopoulos, Defense and Military Attaché, Embassy of Greece, Captain Dimitrios Tzafos, Financial Officer, Naval Attaché Office, Embassy of Greece and other distinguished dignitaries as well a members of the Greek Orthodox Clergy and the Parade Committee.